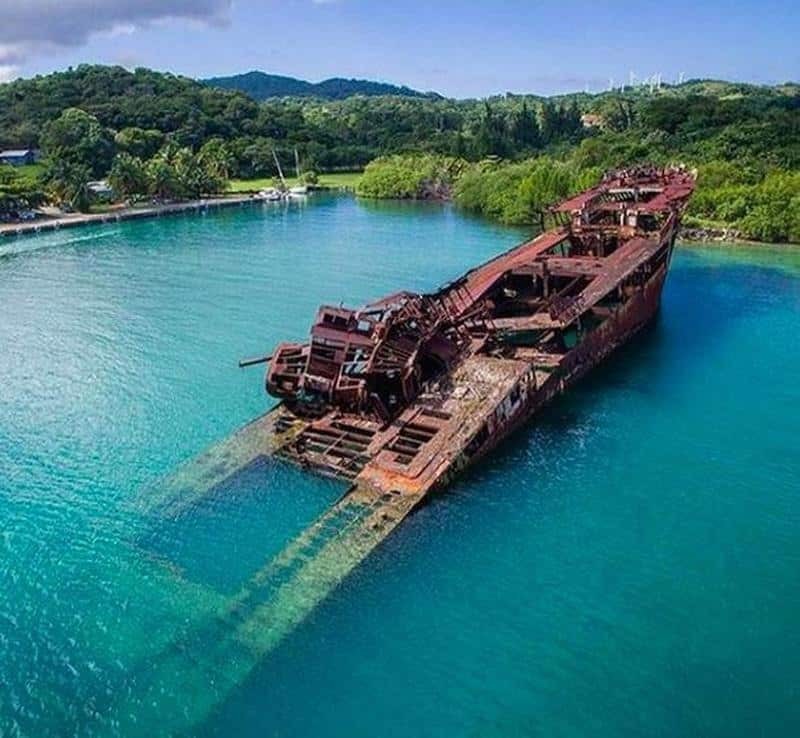 There are many sites that have been abandoned around the world. Once hustling and bustling places, they are now ghost towns with an eerie atmosphere. However, while people don’t frequent these places as they once did, they are absolutely stunning. Sometimes the fact that they are abandoned and overgrown is what makes them beautiful. 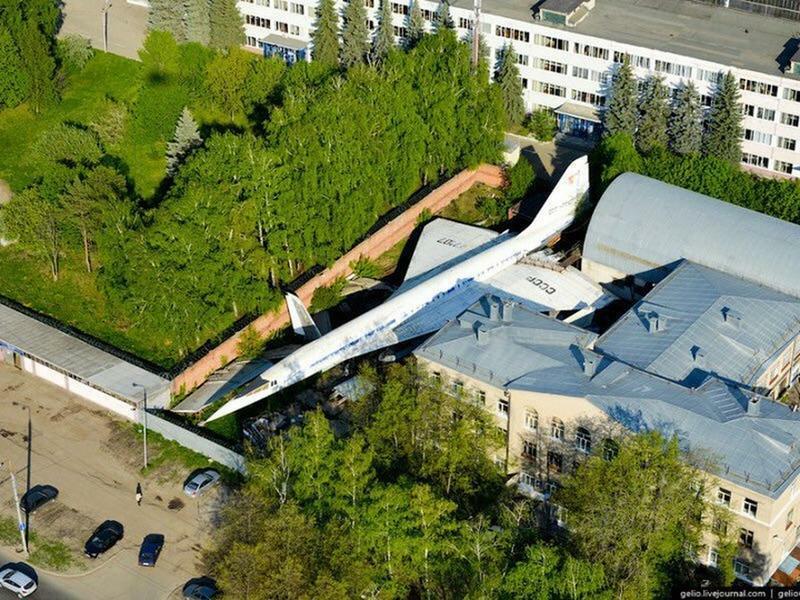 Just outside of Kansas City, there lies an abandoned TU-144 jet plane in the backyard of someone’s home. It attracted many tourists and photographers who couldn’t believe the plane was just sitting there. 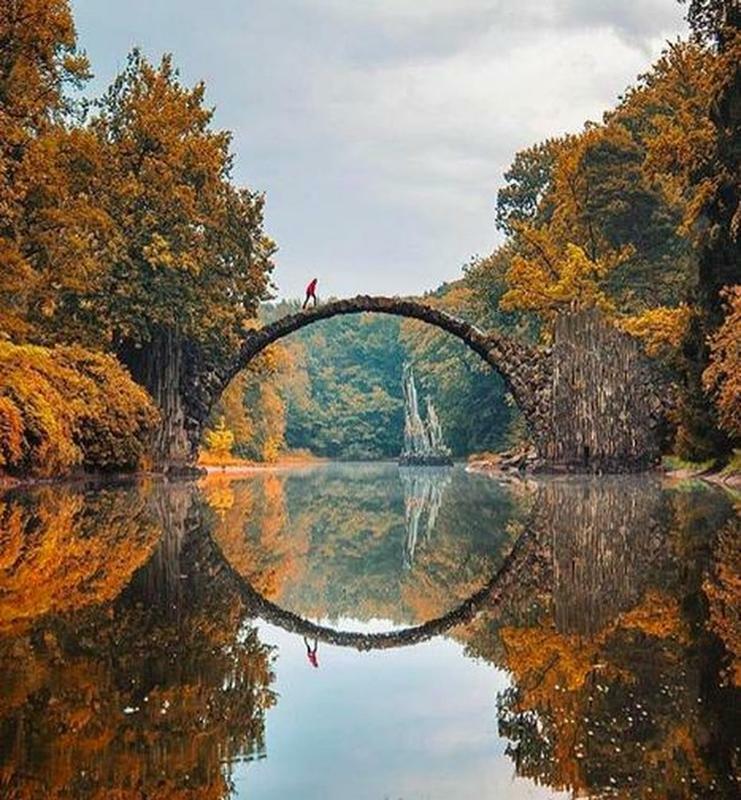 This bridge found in Germany was built in the 1800s. The arch creates a perfect circle when reflected in the water below. You almost feel as if you just walked into a painting. 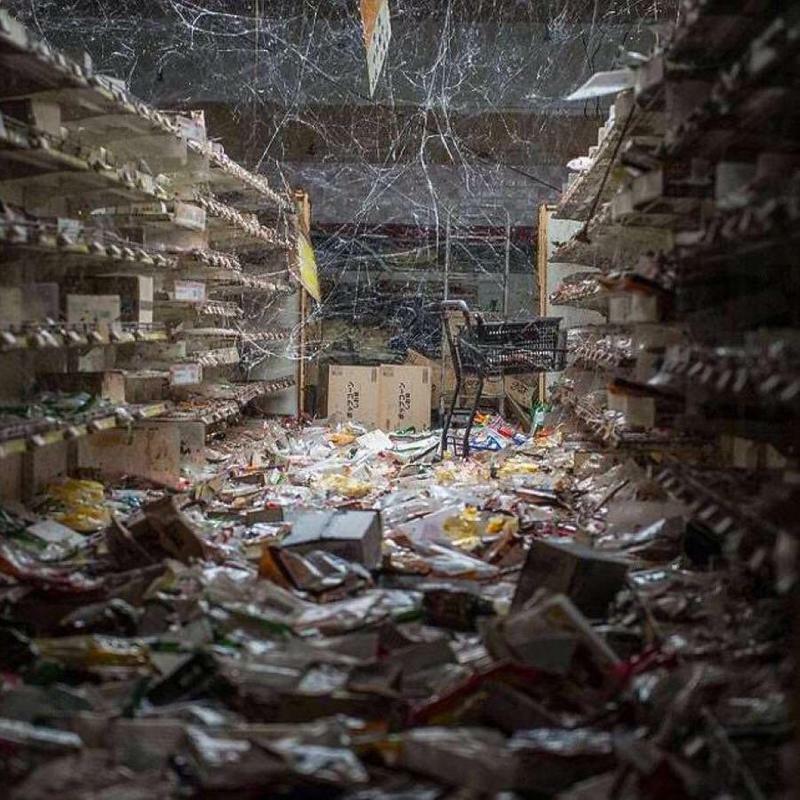 After an earthquake, tsunami, and the radiation leak of Fukushima in 2011, this supermarket was completely abandoned when all of the residents had to evacuate for their safety. This castle in Ireland is located on its own island and has since been abandoned. It was built in 1586 by the McDermotts. The ocean holds millions of mysteries. 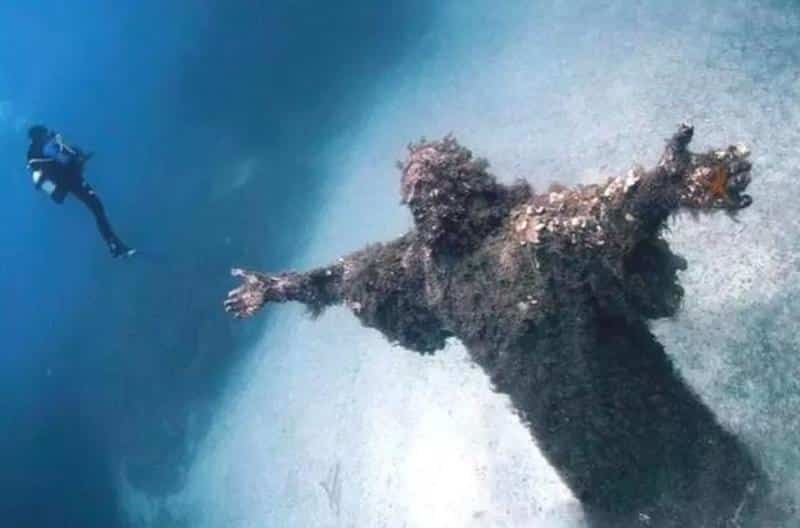 This statue of Jesus Christ was found in the waters of San Fruttuoso, Italy and is made of bronze and has been restored multiple times and put back in the water. 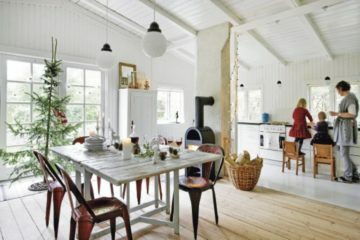 This cottage dates back to the 18th and 19th centuries. 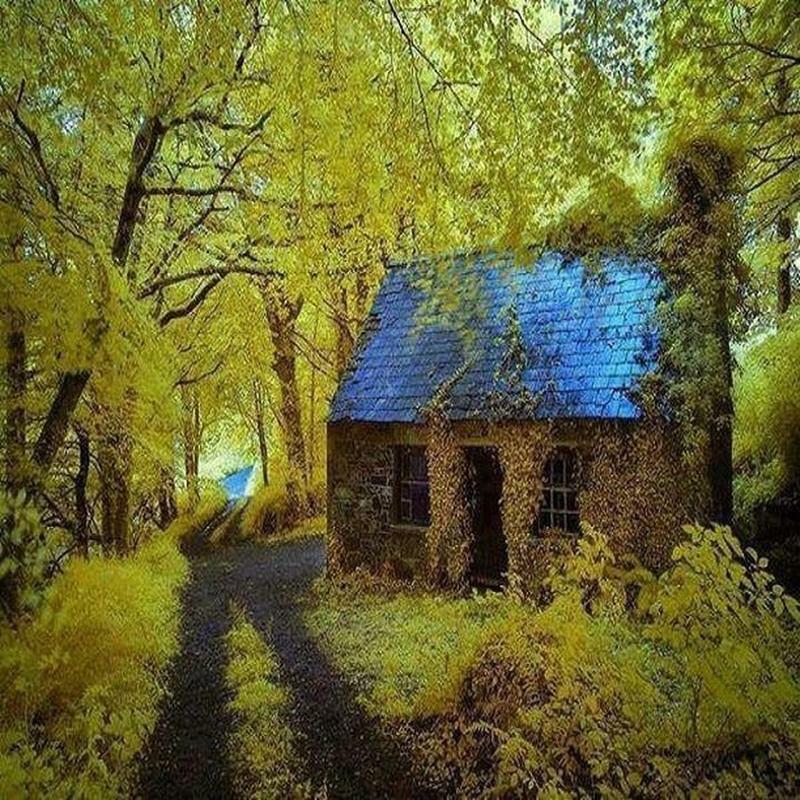 It’s located in Stradbally, Ireland and just screams fairy tale. 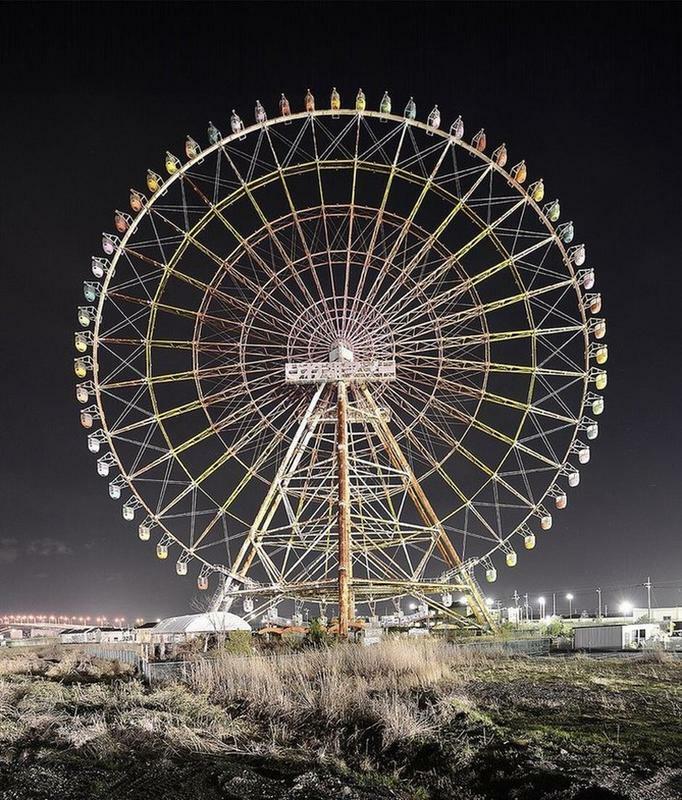 This Ferris Wheel is located in an abandoned amusement park in Japan. 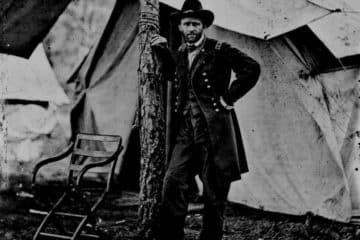 The park would see 200,000 visitors each year until it was closed. 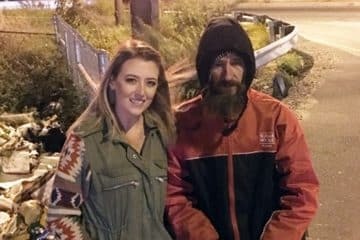 Billy Hull built his dream house equipped with a large Jacuzzi that could hold up to 12 people on top of the Smokey Mountains in Tennessee. Unfortunately, Billy couldn’t enjoy his dream home for too long because he was arrested for hiring someone to kill his wife’s boyfriend. 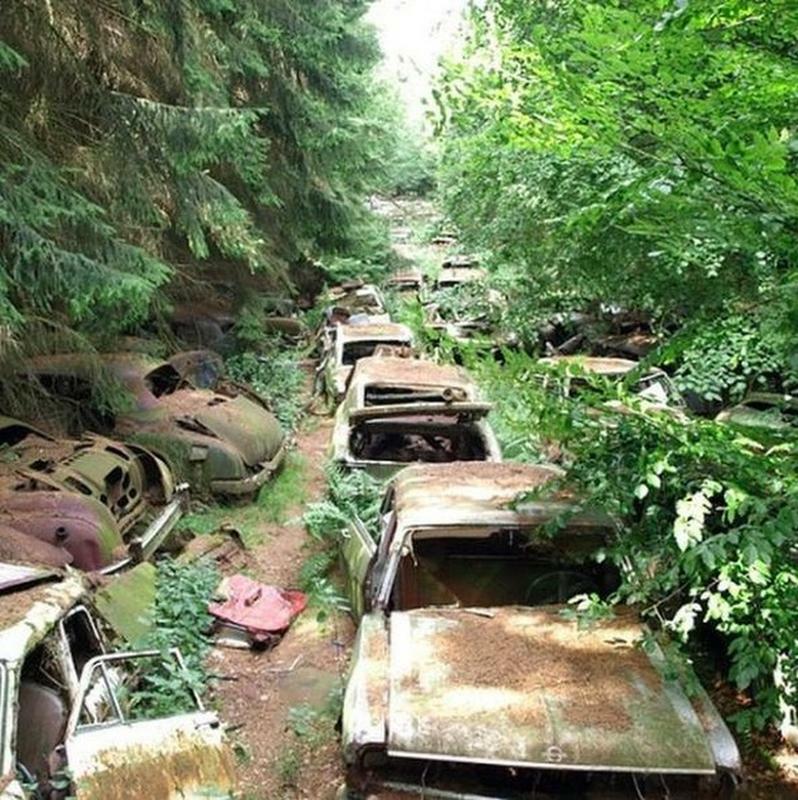 These cars were abandoned by US military in Chatillon, Belgium during World War II. The site is now known as a car graveyard. 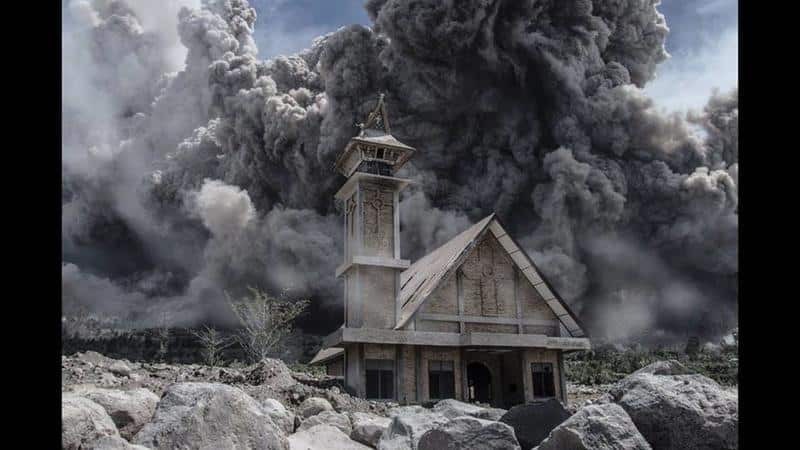 This church was abandoned in Indonesia when Mount Sinabung volcano started spewing ash and smoke in 2015. People were evacuated from the area and had to leave everything behind. Years ago the Selma plantation was lively and known for its social gatherings. It is now abandoned with some belongings still inside, such as a piano. 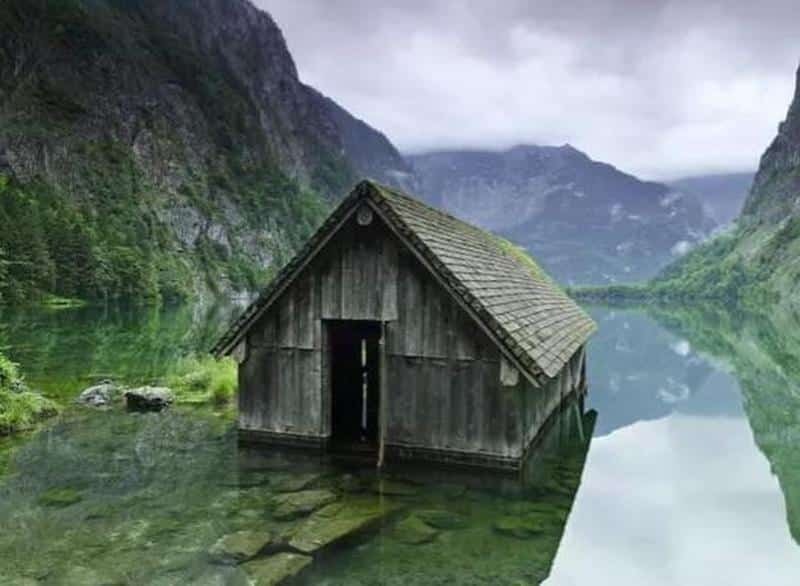 This fishing hut on the edge of a lake in Germany has been abandoned for years. It was used by fishermen to store their fish and tools. 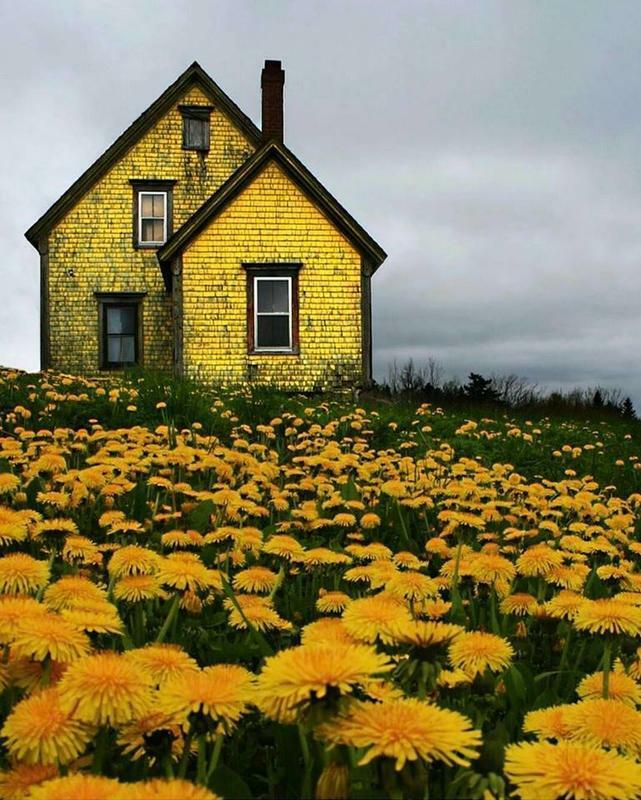 This yellow brick house is located in Nova Scotia. It is surrounded by dandelions that almost match the brick. 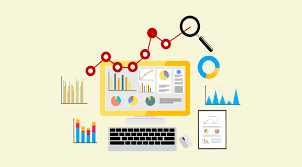 Unfortunately, this site is abandoned due to the economic state of the area. 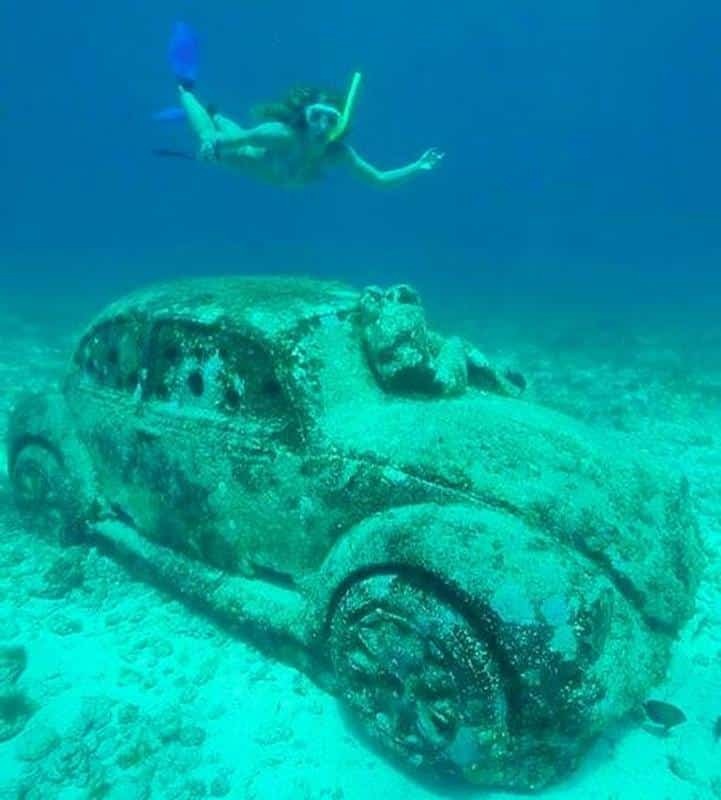 In the waters near Cancun, Mexico, you can find an abandoned Volkswagen Bug. Tourists can go and see the sculpture for themselves if they are willing to snorkel or scuba dive. At first, this site was built secretly by the Russians in Kazakhstan. 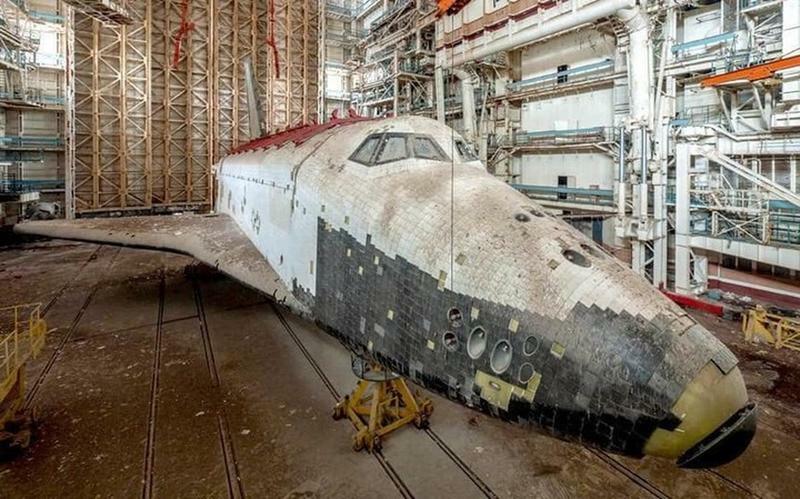 They built a space shuttle that was launched in 1988 into space. 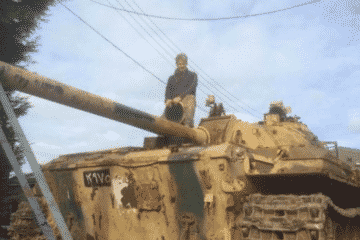 The project was then abandoned in 1991 when their government fell. 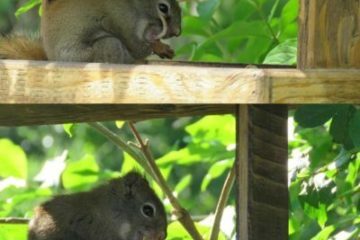 This is a strange site found in Ontario. While the house is run down and abandoned, the lawn is perfectly trimmed and taken care of. What makes the photo even more eerie is the lingering storm in the back. 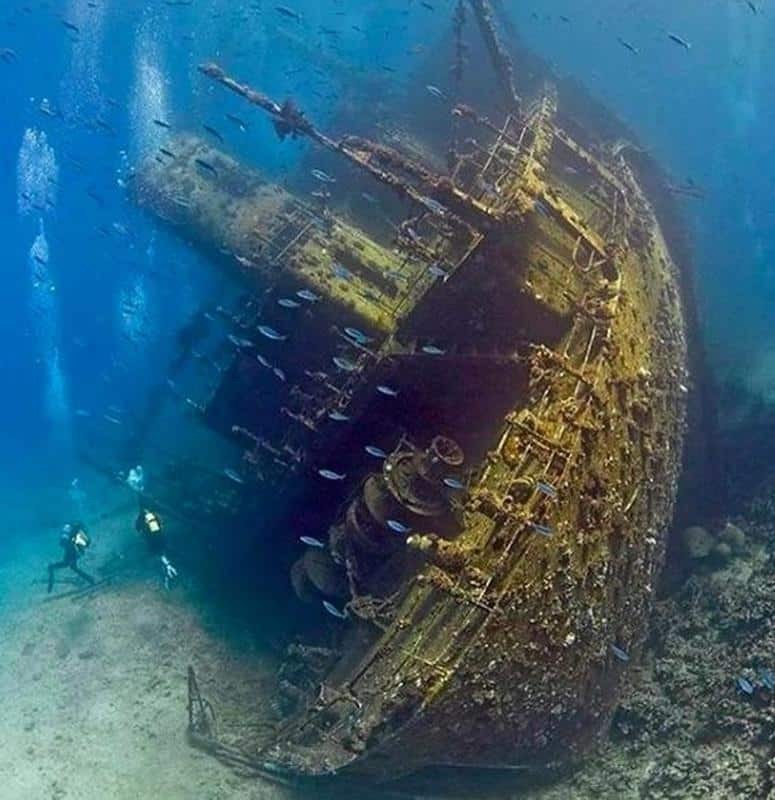 This Russian shipwreck was discovered in the Red Sea in 1988. It’s believe that it was disguised as a fishing boat but was used to gather information and surveillance by the Russians. 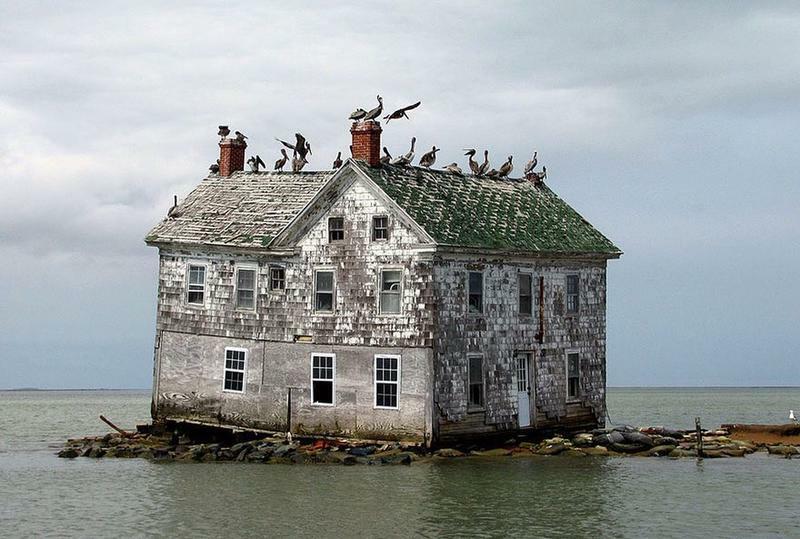 This is the last house standing on Holland Island in the Chesapeake Bay. 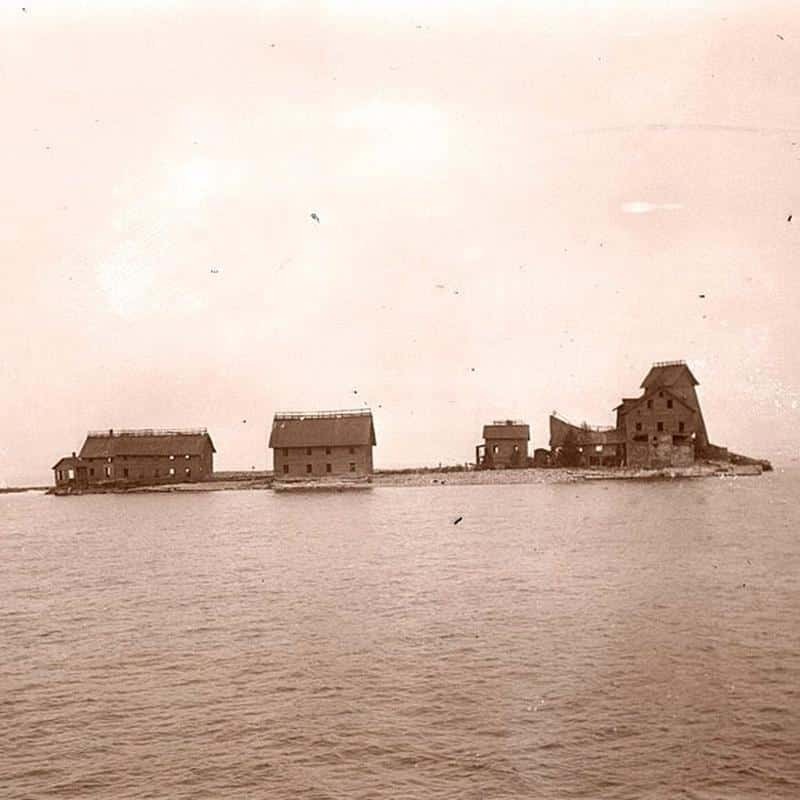 In the early 20th Century, the island had a total of 360 residents and its own little community before erosion took place and made the island disappear along with tropical storms. 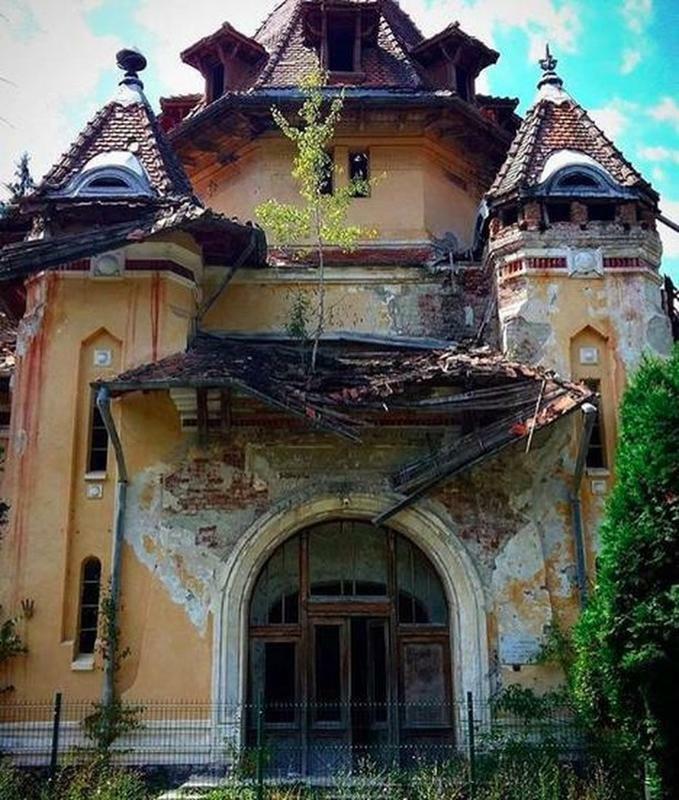 This abandoned mansion was owned by the first billionaire in Bulgaria, Pencho Semov. Before Semov died, he put in his will that he would like his mansion to be used as a free boarding school for girls and a retirement home. Unfortunately, this never happened. The oldest British warship to be discovered under water is the H.M.S Ontario. 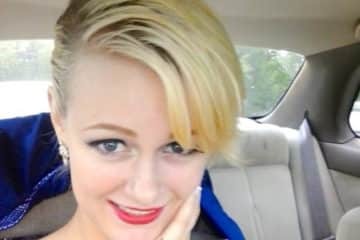 It went down in 1780 and was discovered in 2008 near Niagara. Trains aren’t as popular as they used to be back in the day. 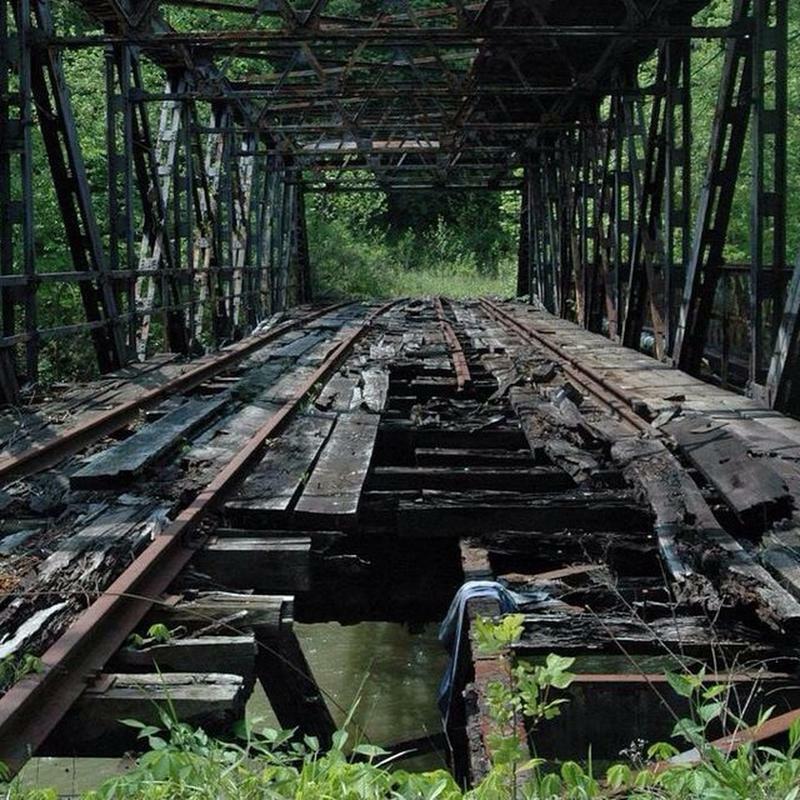 This abandoned railroad bridge can be found in Pittsburgh, Pennsylvania. 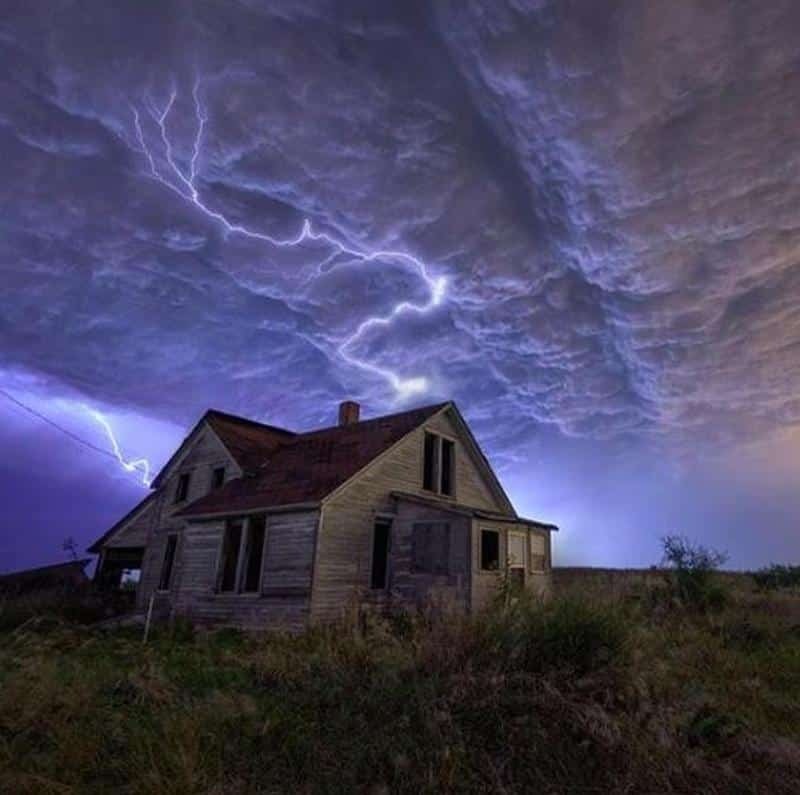 One photographer was lucky enough to catch a lightning bolt striking behind an abandoned house in Nebraska. 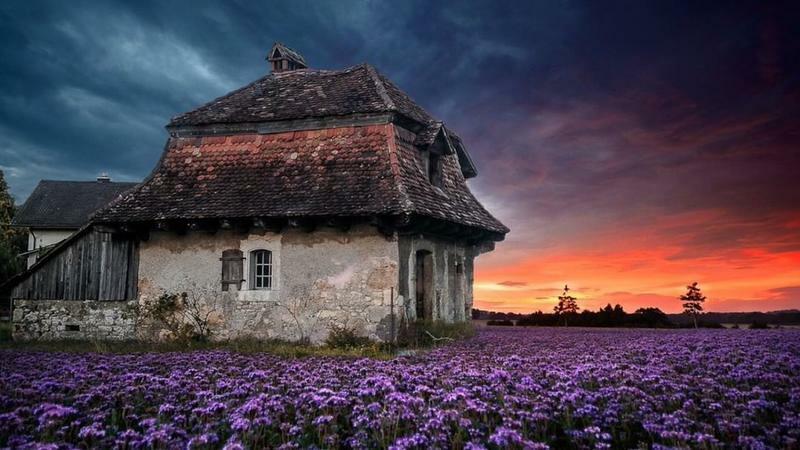 The rolling clouds and purple in the background really make this house intriguing. The Harley Davidson motorcycles originally belonged to the National Police of Puente Piedra in Lima, Peru. 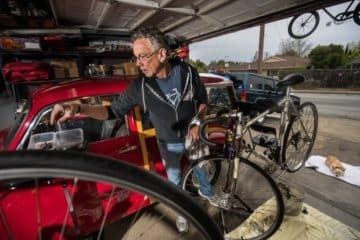 However, they are no longer used and were auctioned off for parts and repairs for people to make a profit. 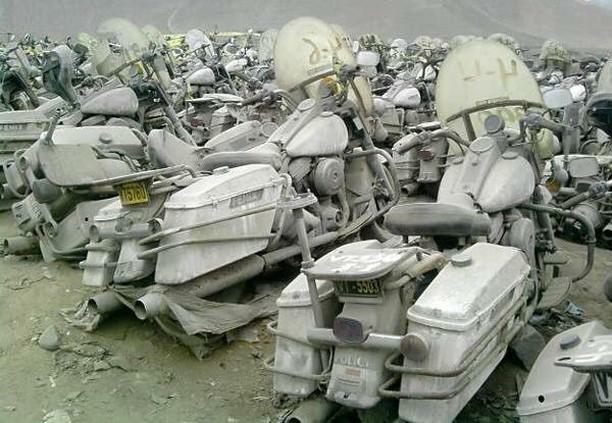 They would sit here in this motorcycle graveyard. 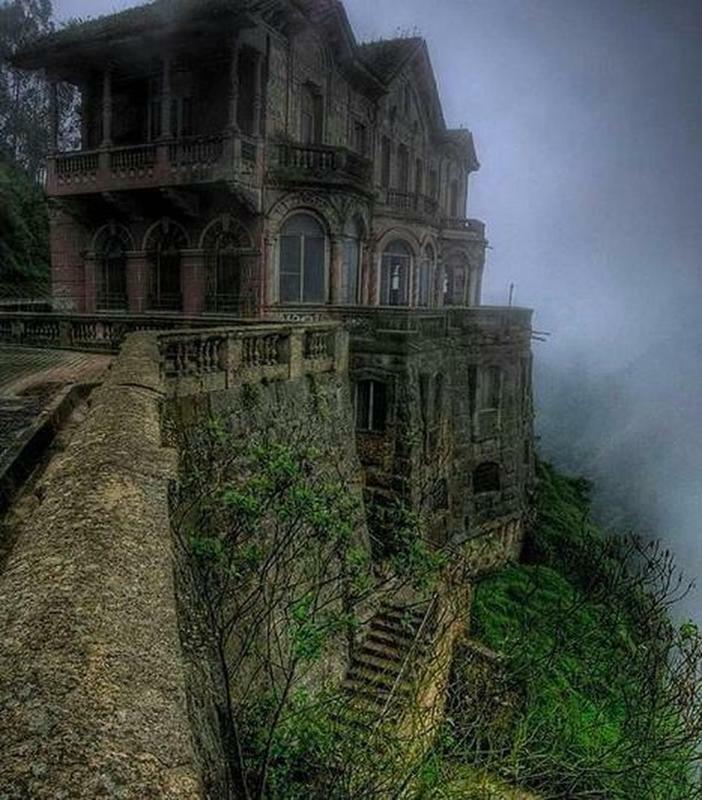 Talk about a set for a scary movie. 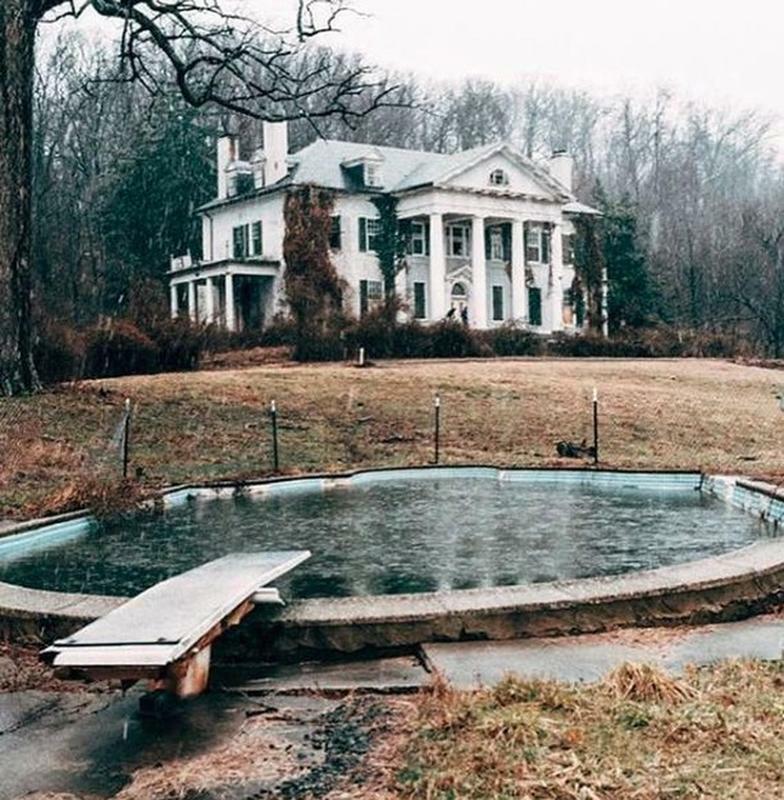 This abandoned hotel is located in Columbia. It was abandoned when the Bogota River was contaminated and never cleaned up. 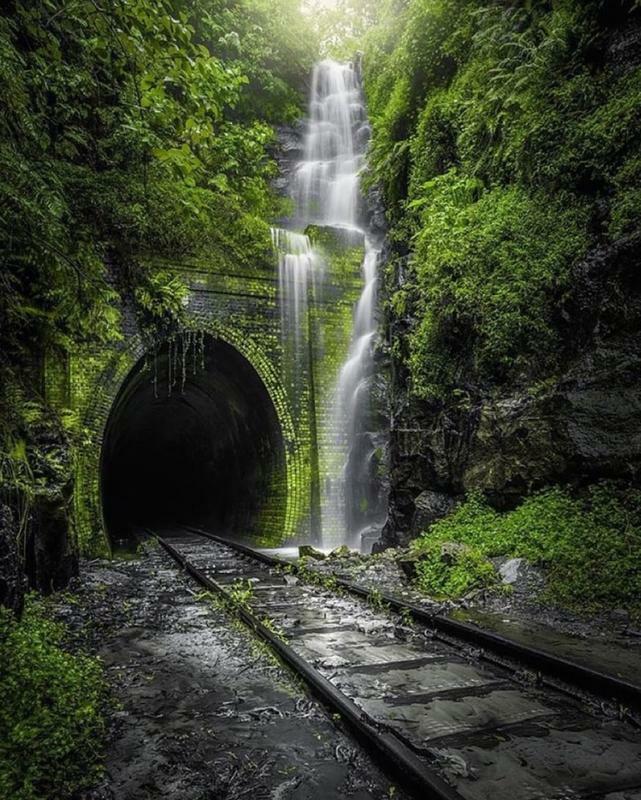 This is the Helensburgh railway tunnel located in Australia. On the side of it you can see a beautiful waterfall flowing down the side. 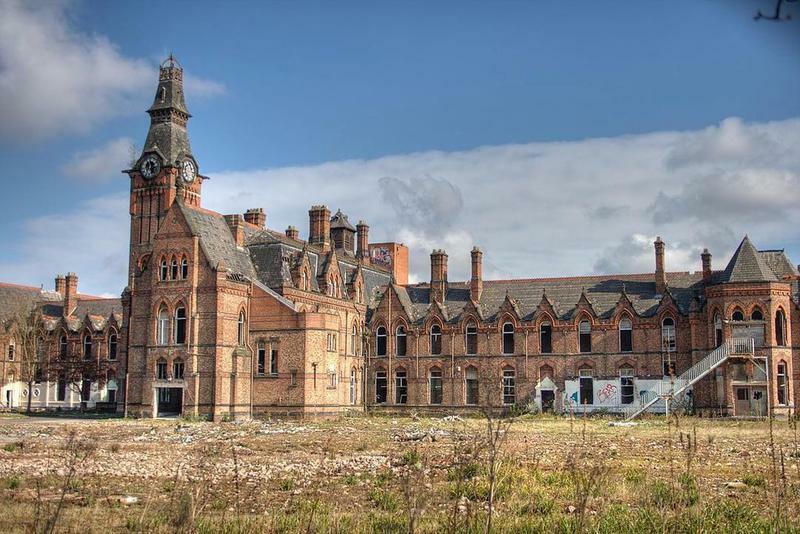 It was built in the 1880s, but was left abandoned just forty years later. 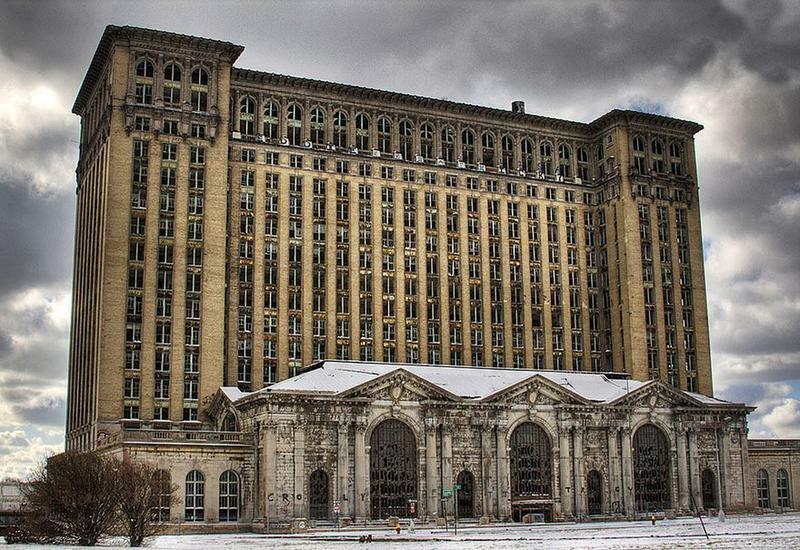 The Michigan Central Station was built in 1913 and had 200 trains running through daily in the early 20th century. However, it was closed in 1988 and is still waiting for someone to fix it up and put it to good use. 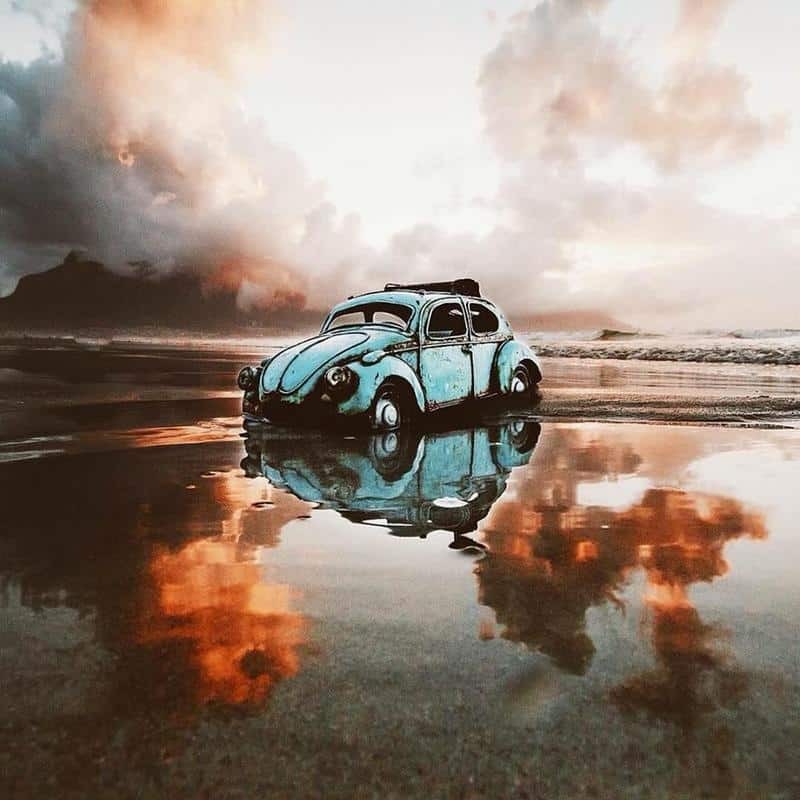 This old school Volkswagen Bug was left on the beach in South Africa. In the background you can see a volcano spewing fire and smoke. 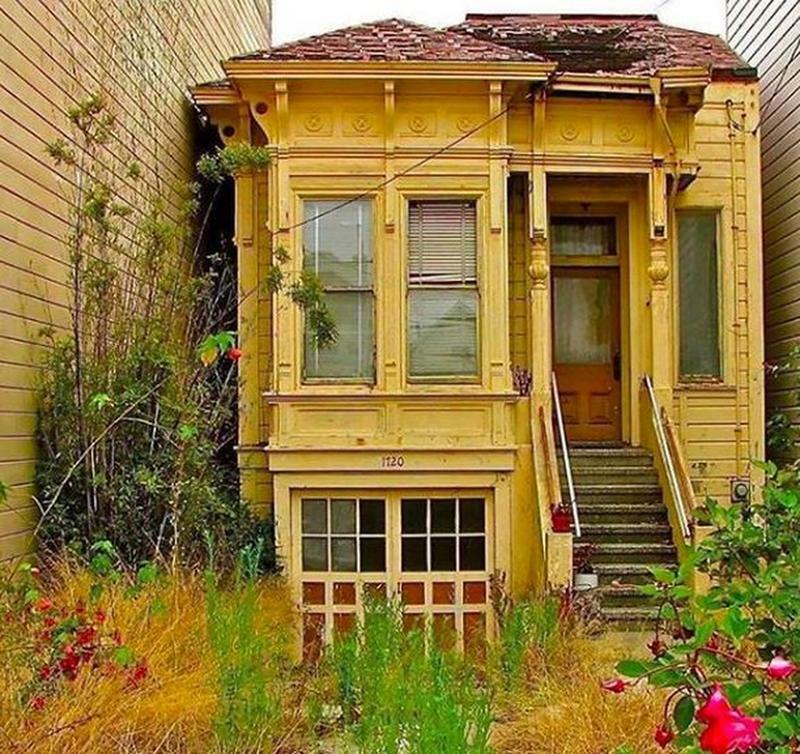 This abandoned Victorian in San Francisco sits between two much larger houses. It was probably once a very lovely place to live. 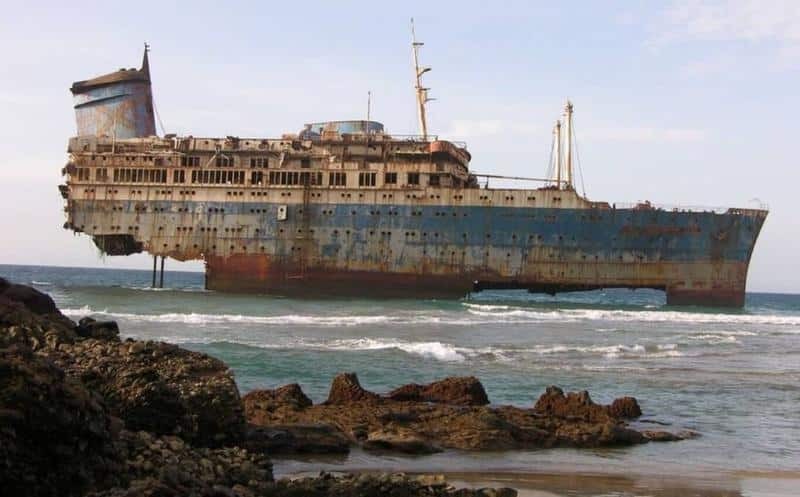 The SS America ran into a nasty storm in 1994 and wound up near the shore of the Canary Islands. It was first built in the 1940s and used in World War II. In fact, two Nazi spies were aboard the ship, which lead to the discovery of the Duquesne Spy Ring. 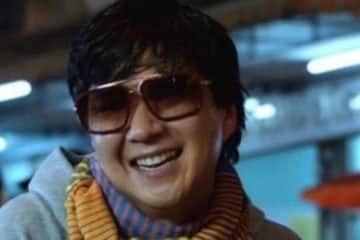 There were 31 spies in the ring and all were convicted in the US. Nobody is really sure how the Dixon Cove Wreck ended up in Roatan, Honduras. One rumor is that it was carrying wood to a ship that needed help. Another rumor is that it was carrying marble and it was wrecked with another ship. This silver mining town near Lake Superior was abandoned in the late 19th century. It was difficult to live here with the ice surges, tidal waves, and strong storms that swept through the lake. 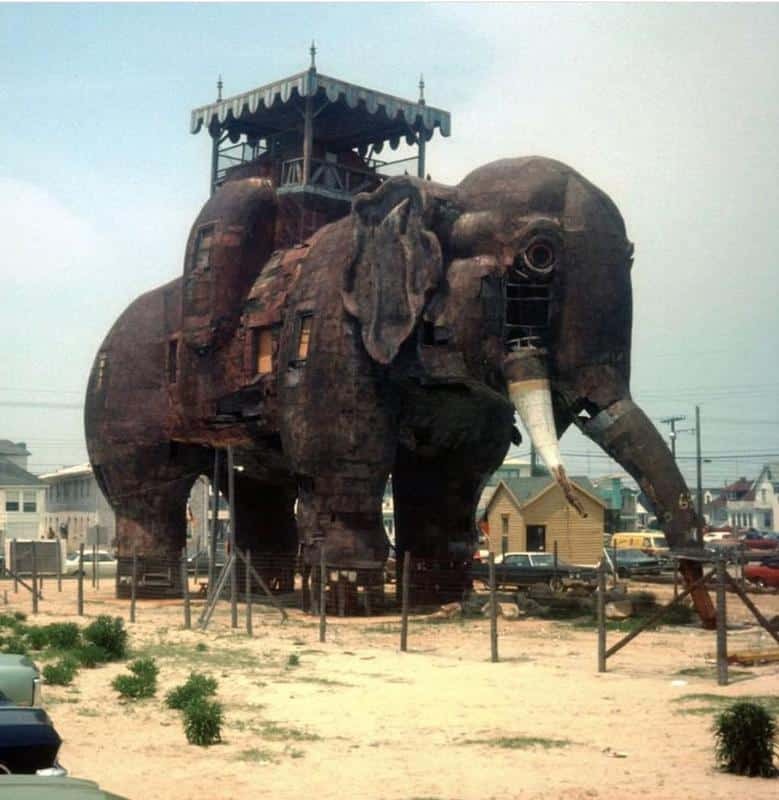 This large elephant is actually a six-story building that was used as a hotel and called the Elephant Bazaar. It was built in 1881. Unfortunately, there was a fire and other disasters that eventually made the building condemned. 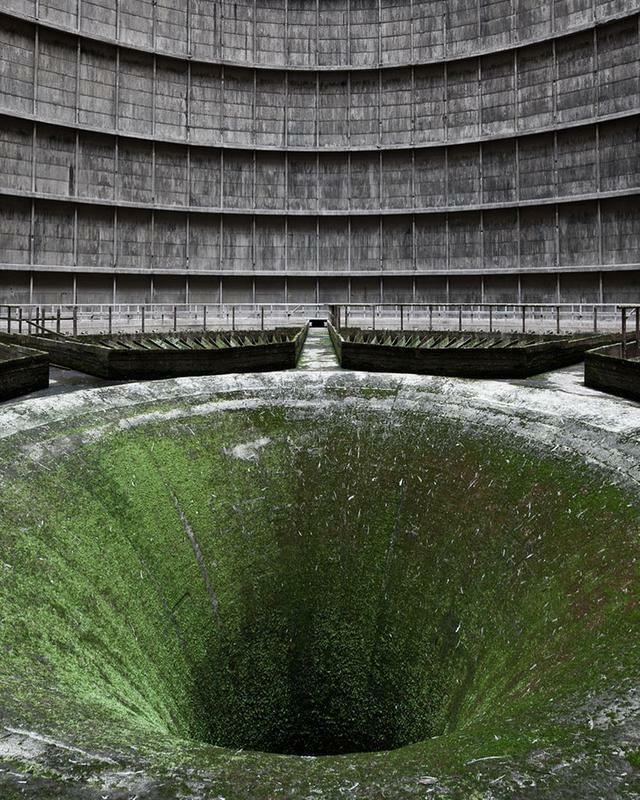 This power station in Belgium was abandoned in 2007 due to people pushing back about its burning coal and harming the environment. 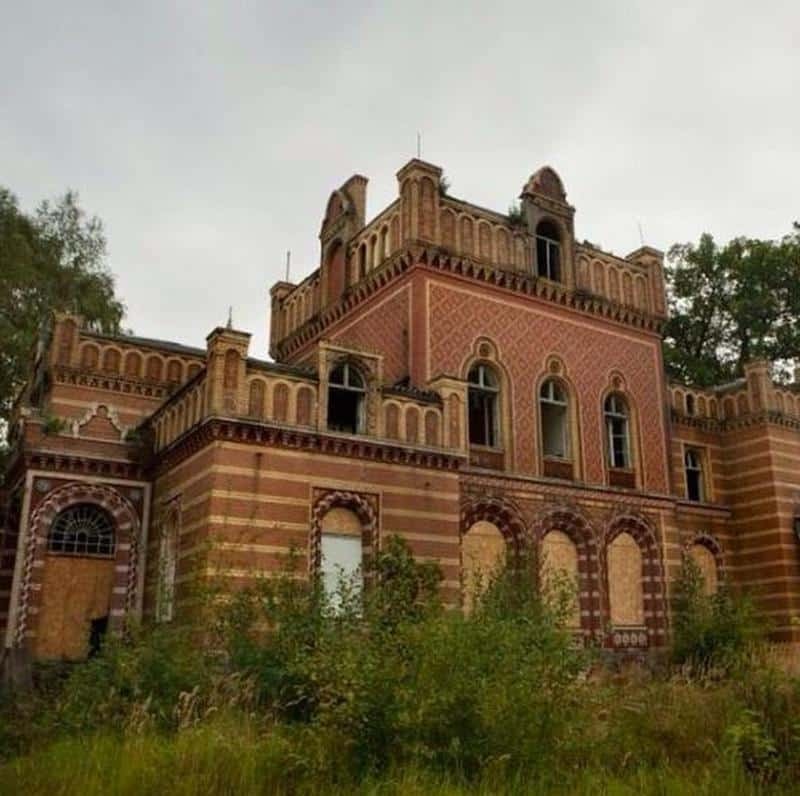 This mansion was built by Carl von Diebitch. However, the construction of the mansion was much more than expected and led the family to bankruptcy. It eventually came into the Nazi’s possession. Halcyon Hall was a luxury hotel built in 1890. However, it was only open for 11 years. It then became a Junior College, but closed in the 1970s due to debts. Sadly, it was demolished in 1914, so all we have left are pictures. 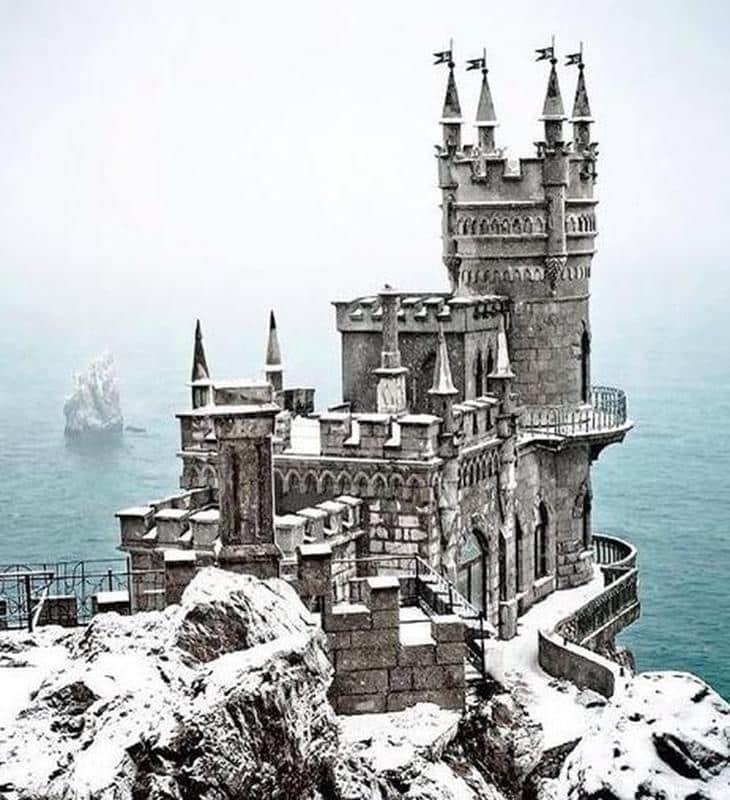 Known as the “ice castle,” Swallow’s Nest is located in Southern Ukraine on the Black Sea. It was built in 1911 by an oil businessman. 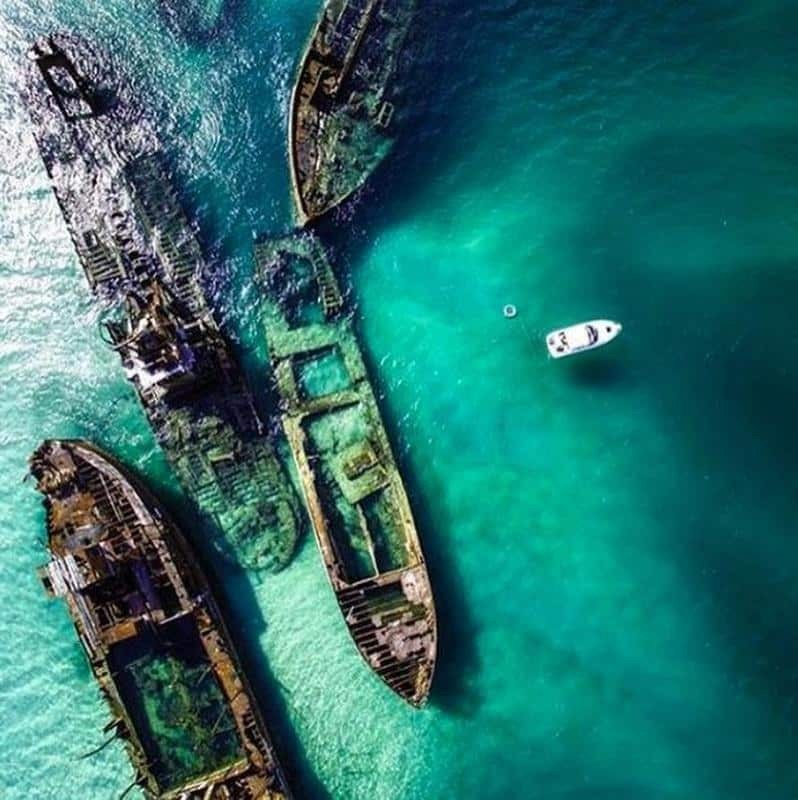 Known as a boat graveyard, Queensland, Australia is home to intentionally sunken ships. 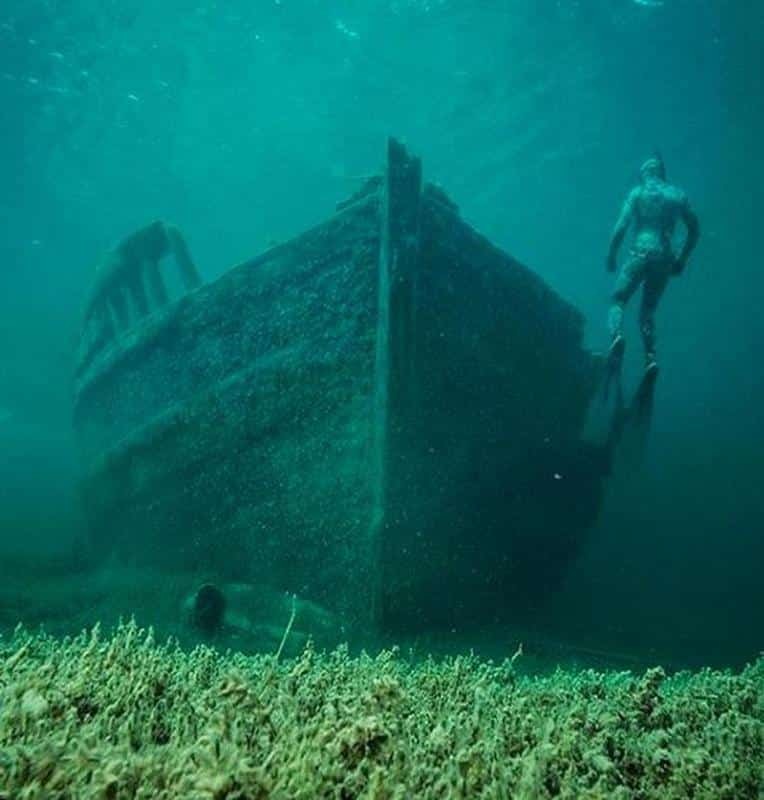 They were put on the bottom of the ocean so that smaller boats would have a safe harbor to sail in. Italy is known for its gorgeous castles. 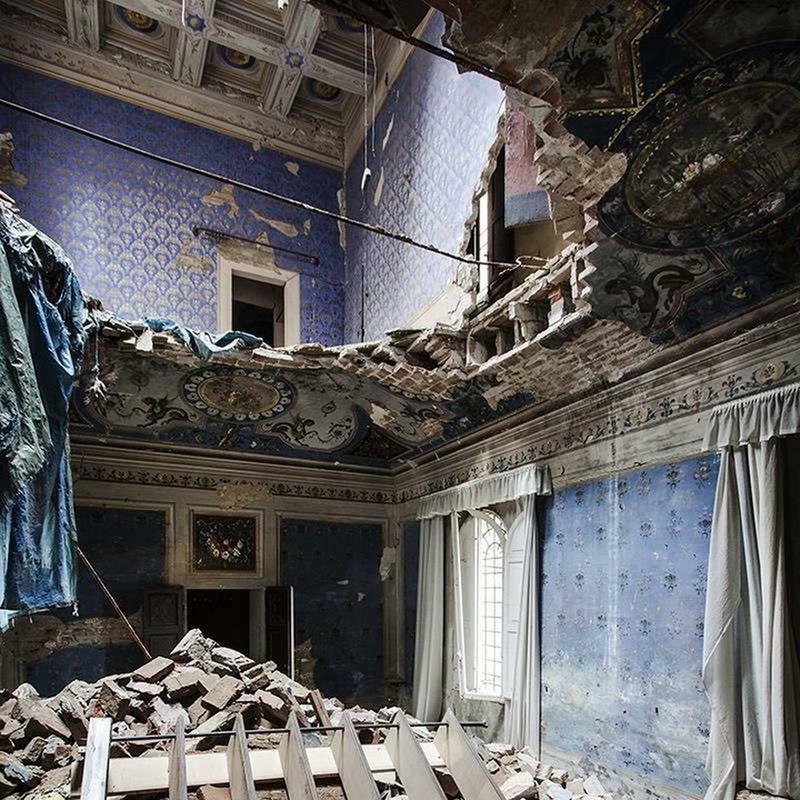 This castle in particular is abandoned and left for dead. You can still see the curtains and artwork. Although, it is falling apart. 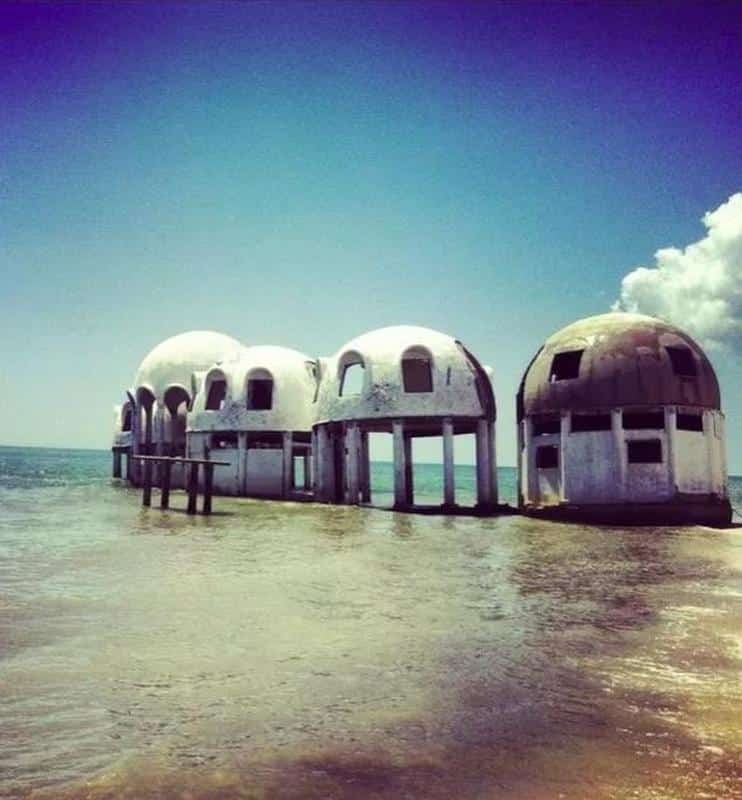 These dome homes were built in the 1980s near Naples, Florida. Sadly, hurricanes damaged the houses beyond repair. 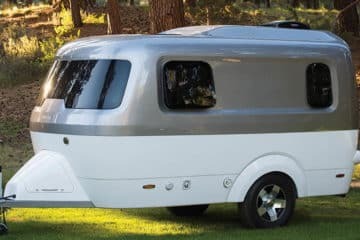 They were supposedly quite beautiful and unique when they were first built though. 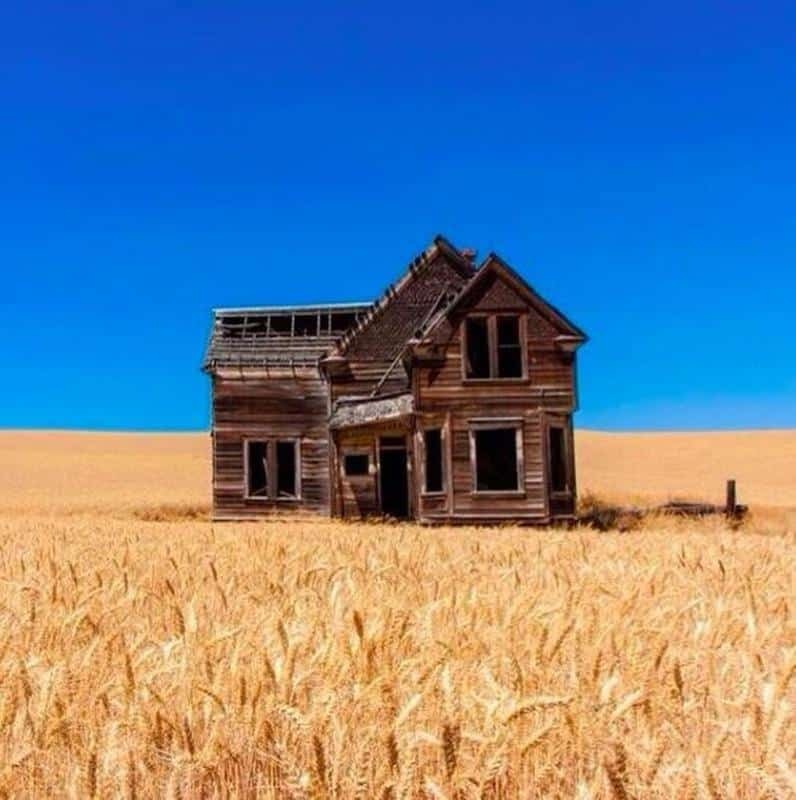 This lone abandoned house sits in the middle of a wheat field with nothing else around in Oregon. 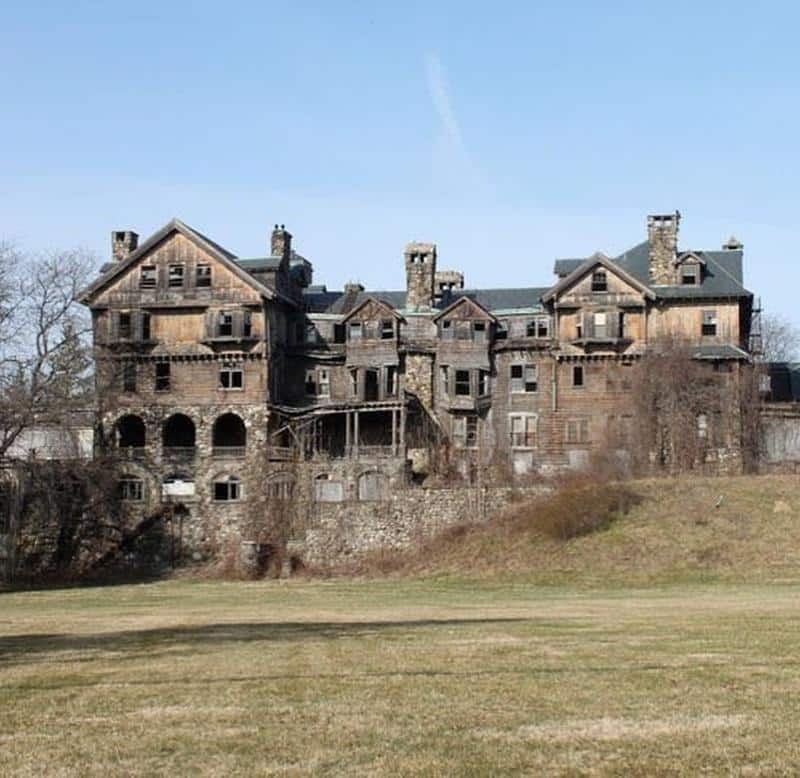 It was abandoned during the Great Depression and never restored. 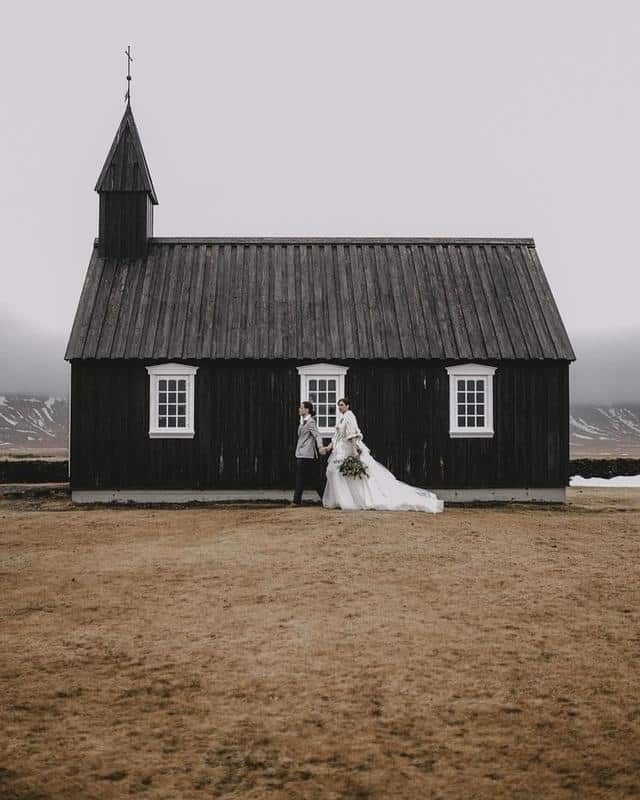 This abandoned church in Iceland draws quite a crowd of photographers due to its unique black color. It was built in 1703, deconstructed, and then built again in 1987. 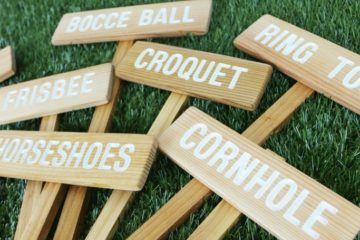 There is even a cemetery next to it. 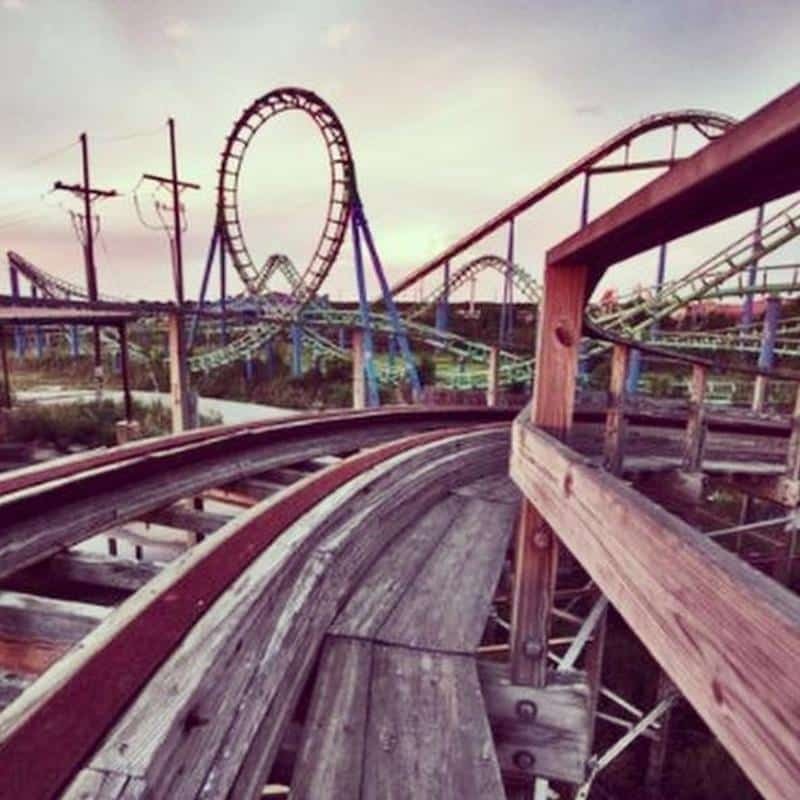 This Six Flags amusement park is located in New Orleans, Louisiana. It was abandoned in 2005 when Hurricane Katrina destroyed most of New Orleans. 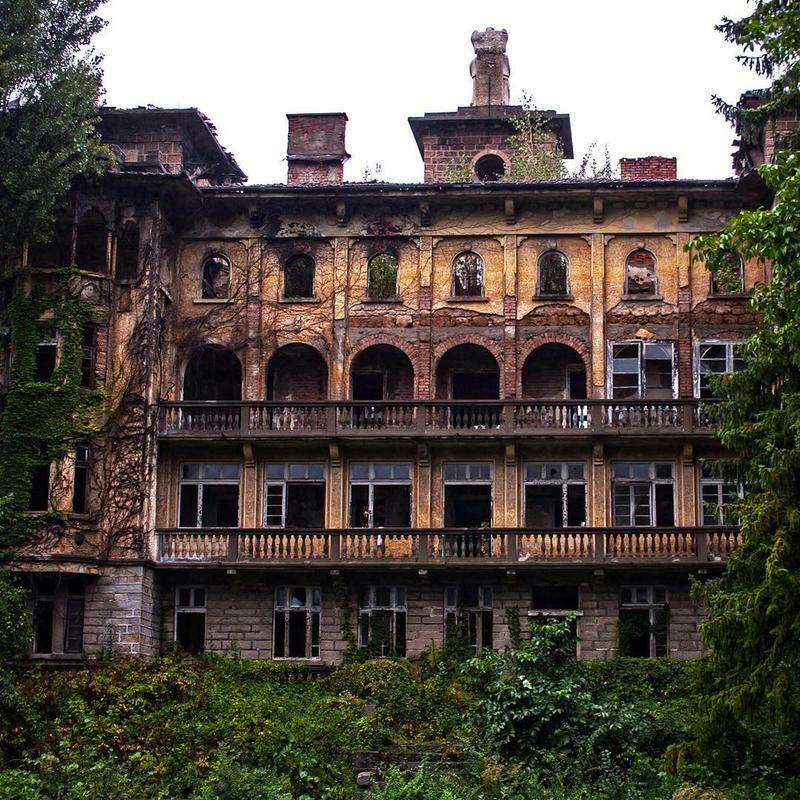 This sanatorium in Romania was built in the early 20th century by Ernest Doneaud and opened its doors to patients in 1915. It is now abandoned and run down. Here is another abandoned amusement park. 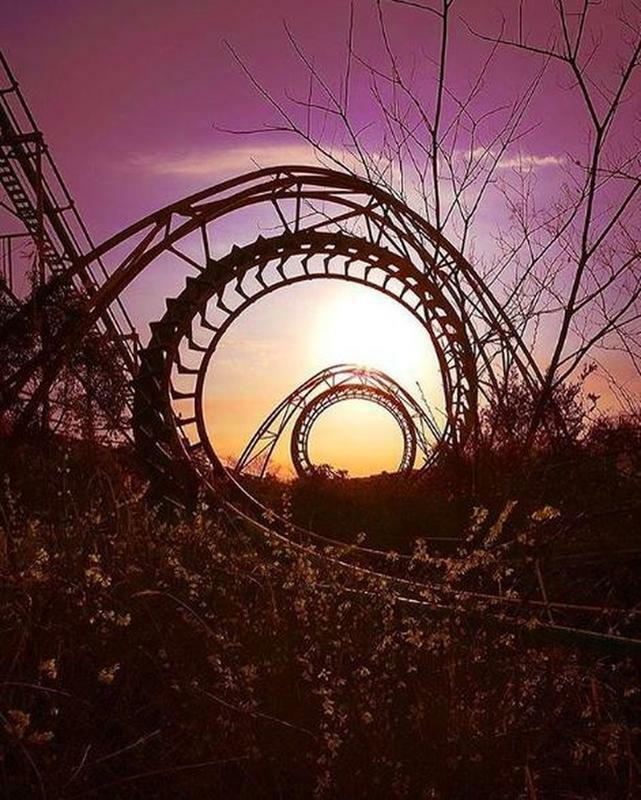 This roller coaster can be found in Japan’s Nara Dreamland. As you can see, it’s overgrown with plants and weeds, making it look unique and beautiful. 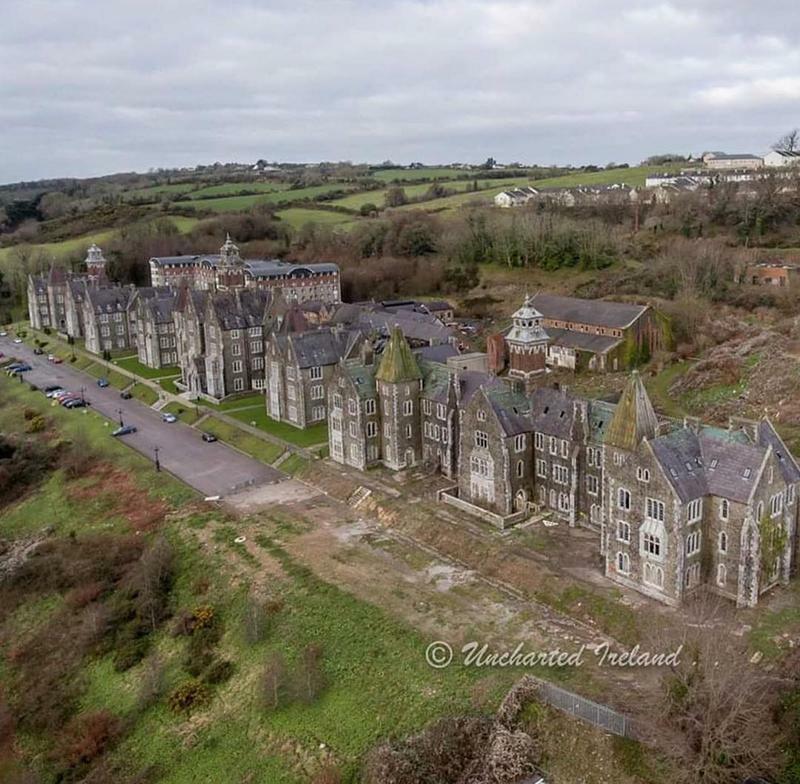 In Ireland there is a cluster of buildings that used to be a mental asylum in the 19th century. Currently, half of the buildings are used as apartments. The other half are still empty. 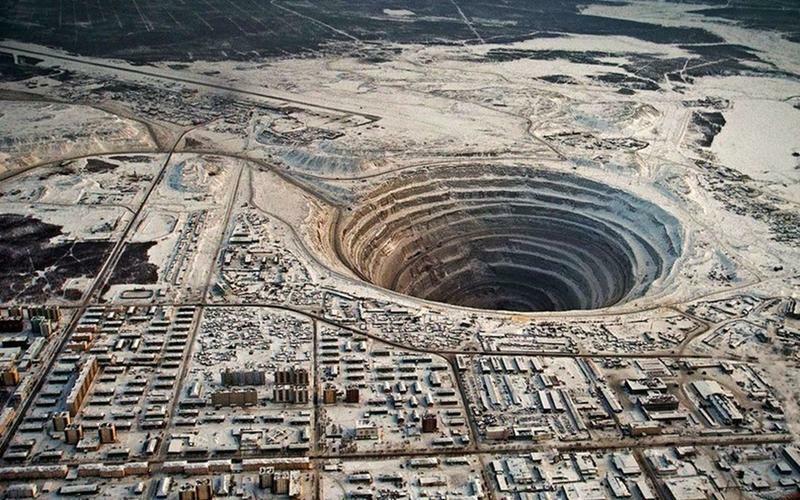 This man made hole is located in Mirny, Eastern Siberia, Russia. 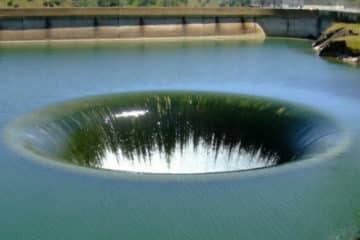 It was used to mine diamonds as diamonds would constantly spill from the hole for almost fifty years. 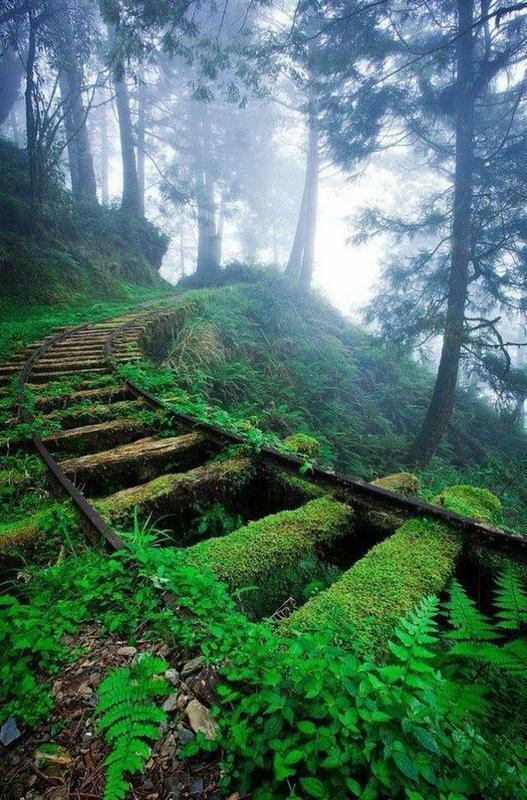 These abandoned railroad tracks can be found in a forest in Taiwan. 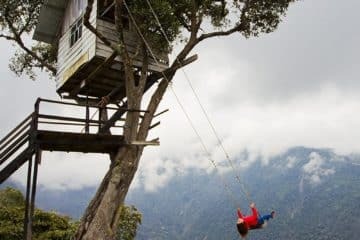 It is now used as a hiking trail so other people can enjoy its beauty. 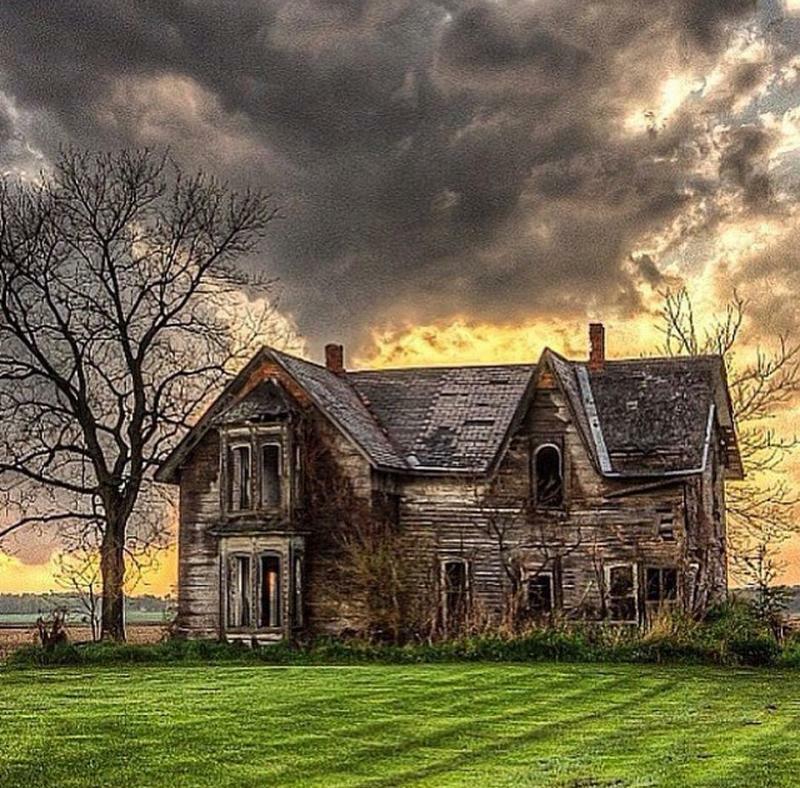 This old farmhouse was abandoned in Switzerland when farming began to die out in the country. However, it is absolutely gorgeous with a meadow full of flowers surrounding it. 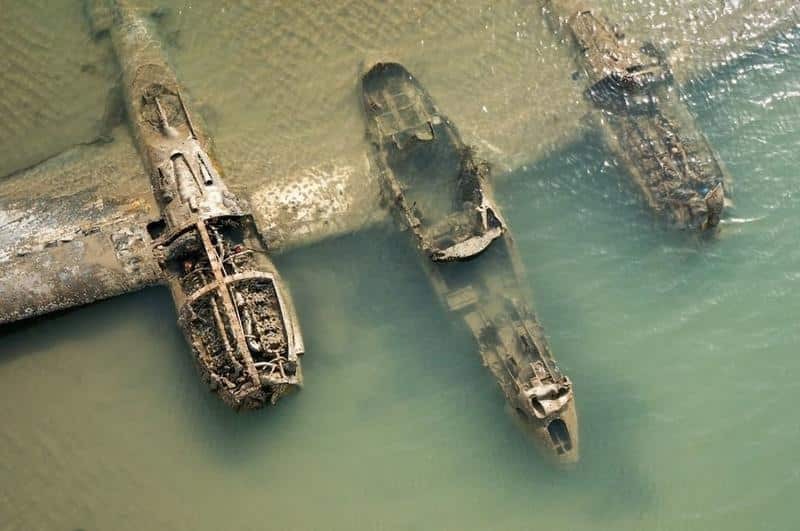 This warplane from WWII was discovered on the beach in Wales 65 years after it went down. During that time, it was covered in sand and hidden away. 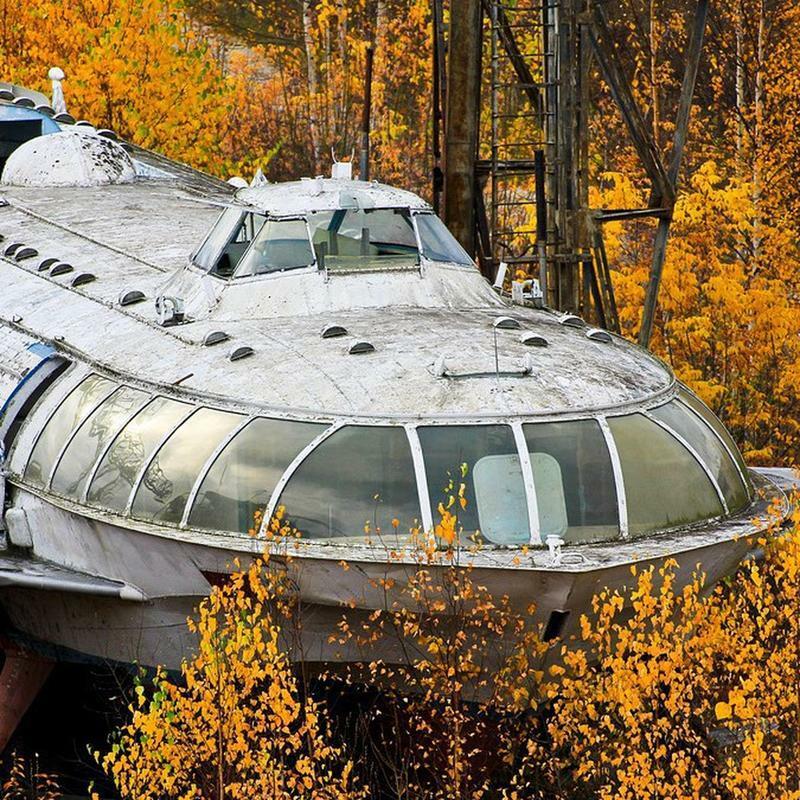 This vehicle was designed in the 1960s by the Russians and used to jet across water at extremely fast speeds. Now it is rusting away in a forest near the Kama Reservoir. This isn’t an ordinary theater. 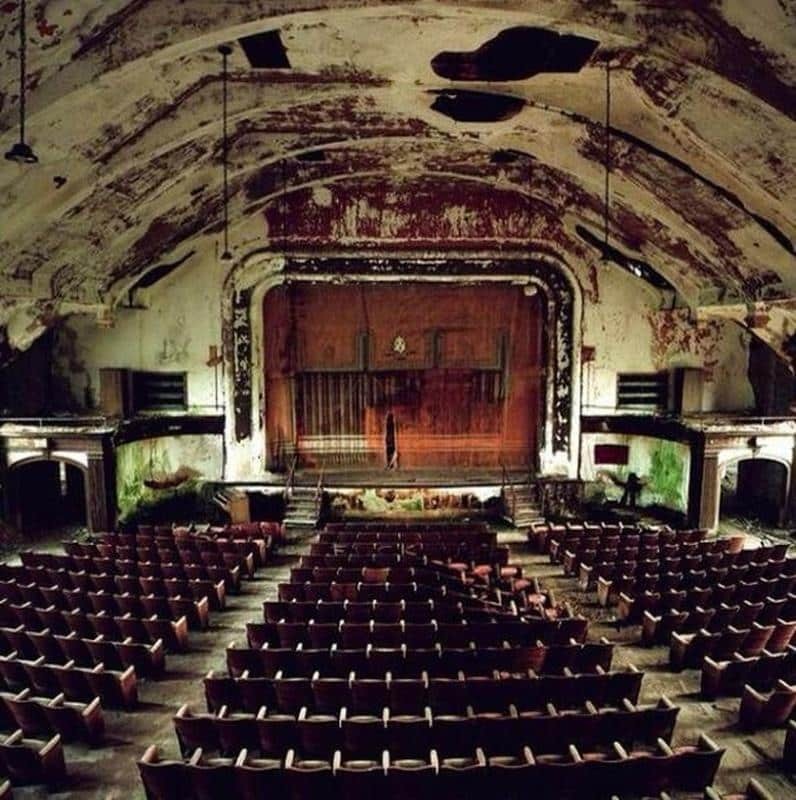 This theater was part of the Norwich State Hospital in Connecticut, which treated mentally ill patients. It was shut down in 1996 and has been empty ever since. Bombs were dropped constantly on London during WWII. 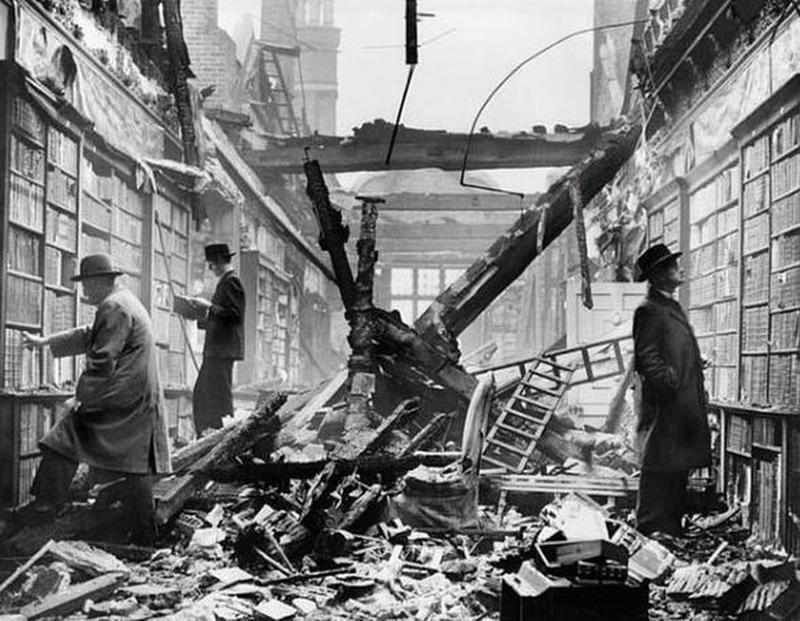 Here is a picture of Londoners perusing books in a library that had been bombed days before. 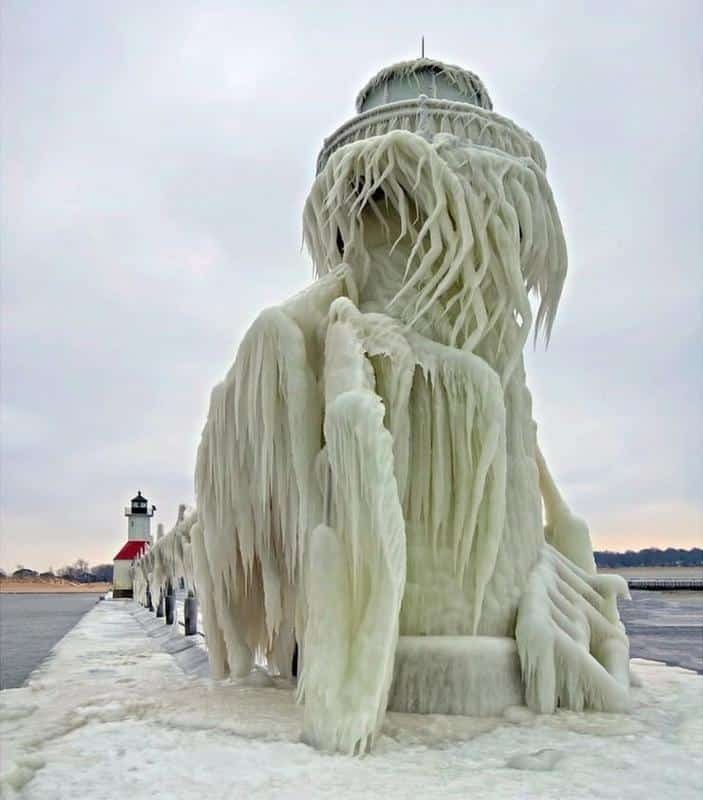 This beautiful site is actually ice freezing itself around an abandoned light house on Lake Michigan. It definitely looks more like a castle than a lighthouse. 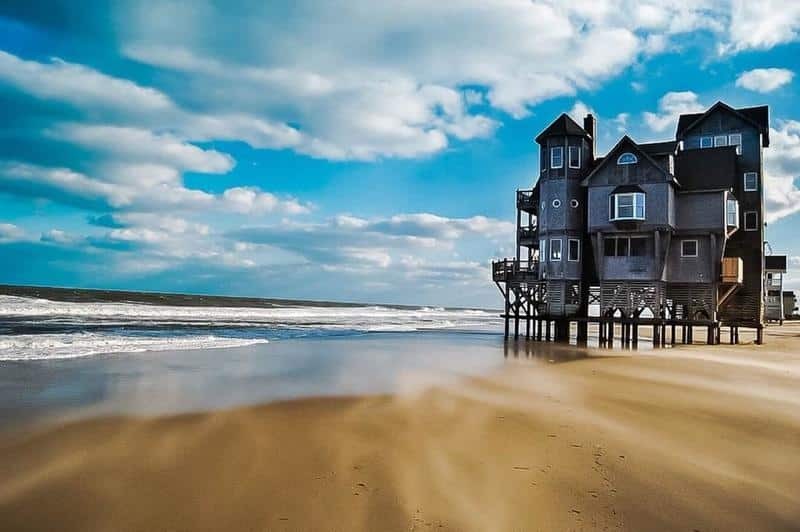 The movie Nights in Rodanthe was filmed at this house. It was built in the 1980s, but was condemned by the city in 2008 due to erosion and damage done by hurricanes and storms over the years. 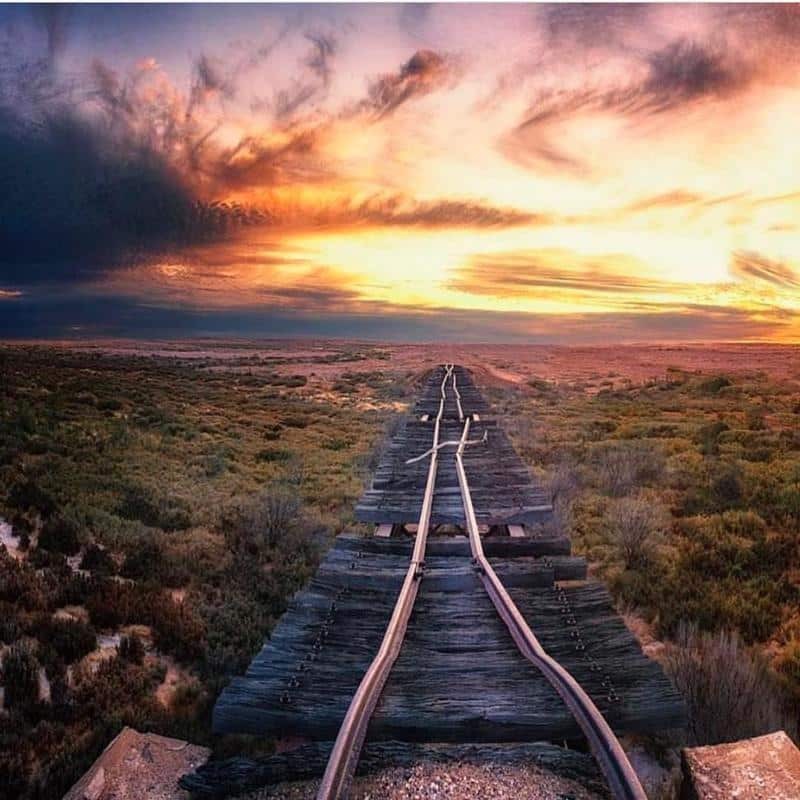 This track is 383 miles long and can be traveled by tourists. It takes you down long bridges and winding paths that are absolutely stunning. 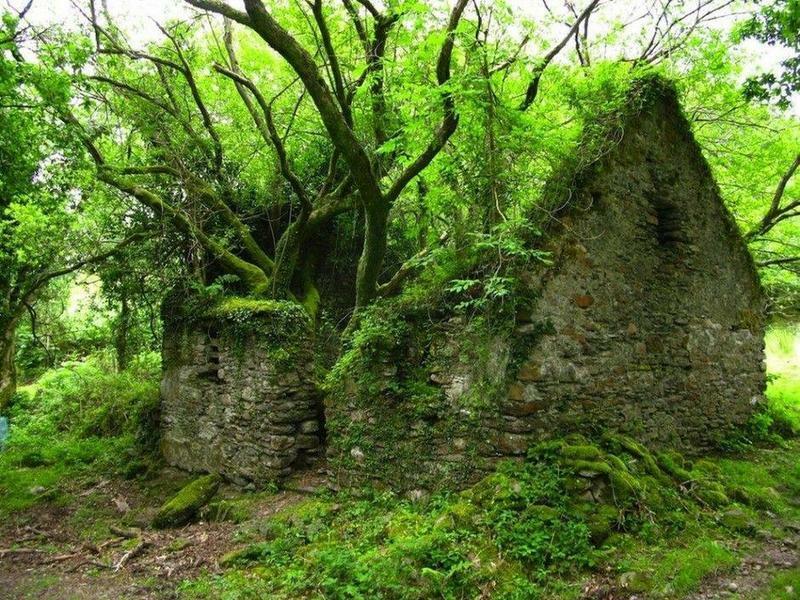 This little stone cottage in Ireland has a tree growing right through it and moss covering the walls. It looks like something you would find in a Disney movie. 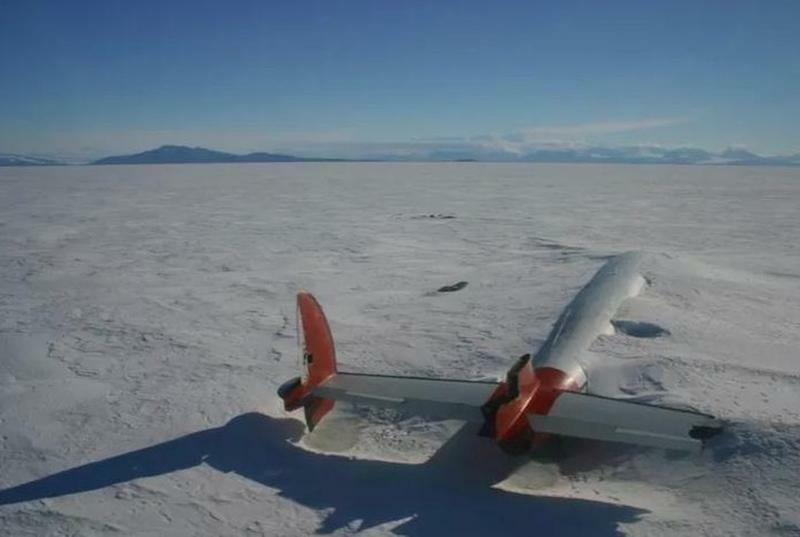 C-121 Lockheed Constellation crashed in Antarctica in October 1970. Luckily, none of the passengers were hurt in the crash. However, the plane remains stuck in the snow to this day. This building is located in Manchester, England. It was closed in 1999 and had many different developers plan to revive the building, but everything fell through. After the nuclear disaster in the 1980s in Chernobyl, people had to evacuate and leave everything behind. 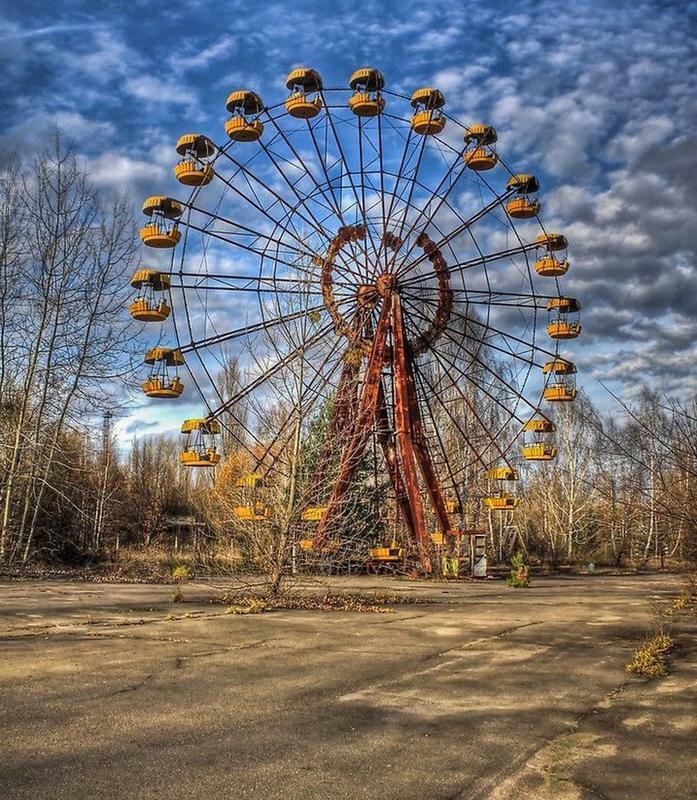 This Ferris wheel was included in the items that were abandoned. 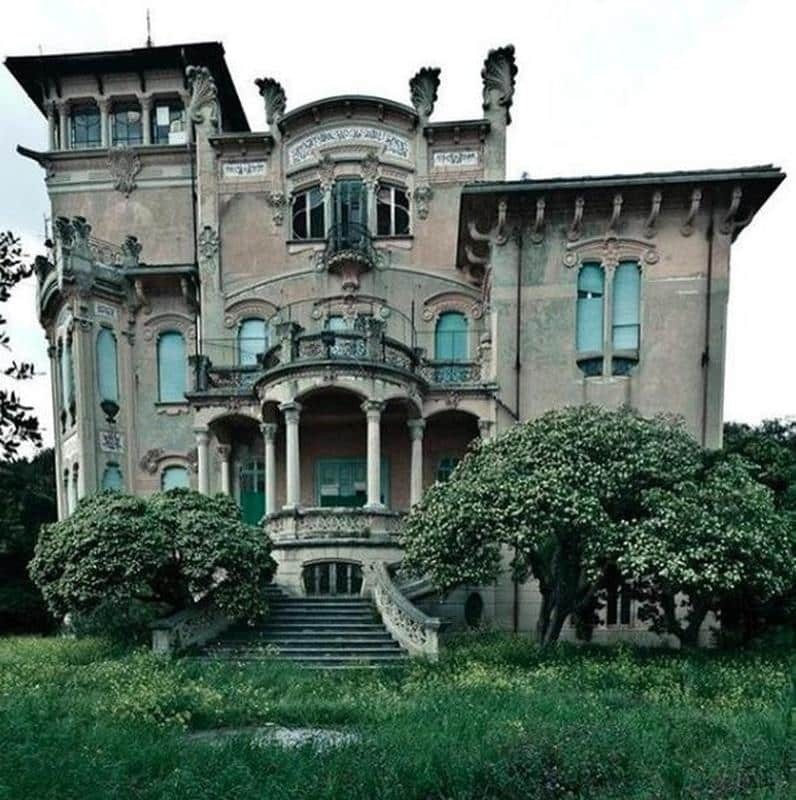 This abandoned villa is located in Savona, Italy and was used as a field hospital in WWII. 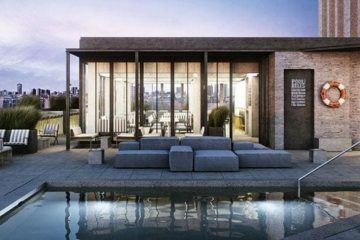 It was originally built in 1907 for a sea captain and his family. They moved out in 1933. The building has been abandoned since 1998 when the ceiling collapsed when it was used as a heart center.